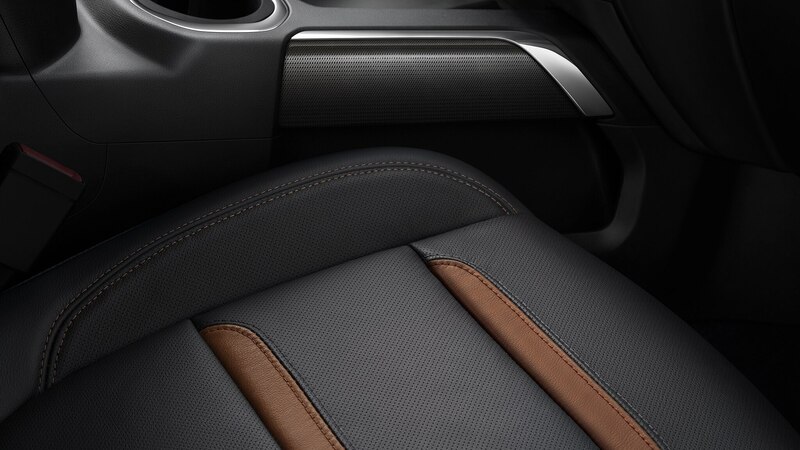 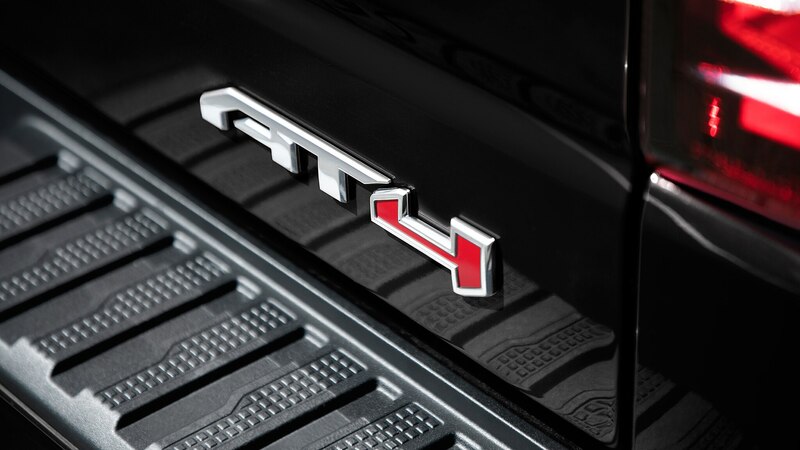 Part luxury truck and part off-roader, the AT4 occupies its own niche. 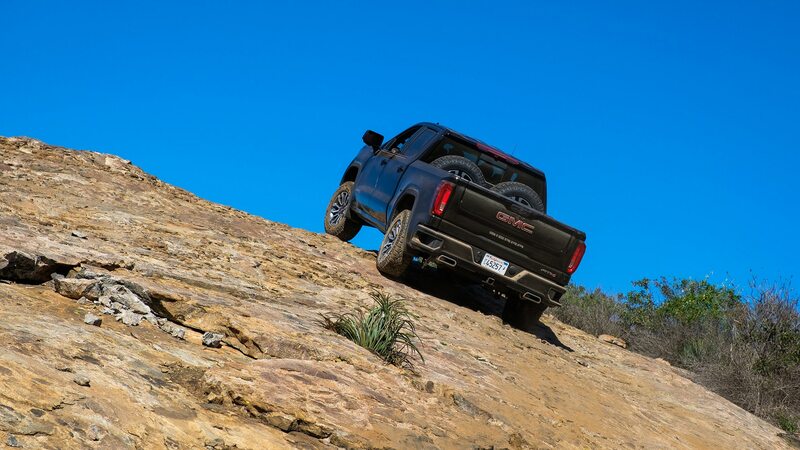 We were two miles from the Mexican border when we first heard it. 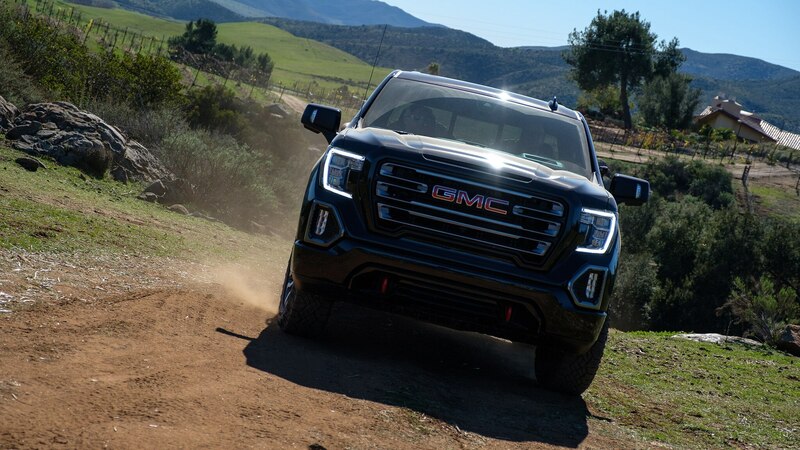 Initially just a dull throb in the distance, it soon was clear that the noise was no coincidence: It was a helicopter out of the Naval Base San Diego, flying low and fast and on an intercept course with our little convoy of new GMC Sierra 1500 AT4s. 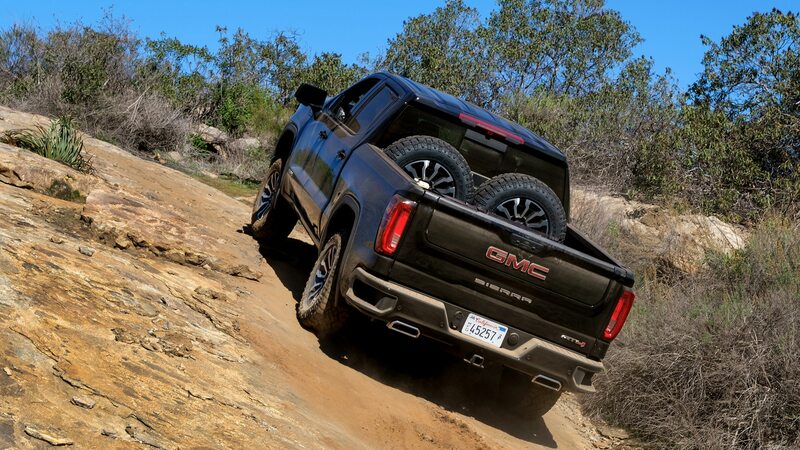 We had seen a half dozen United States Border Patrol vehicles on the Otay Mountain Truck Trail already, plus a pop-up checkpoint on the way out here from San Diego. 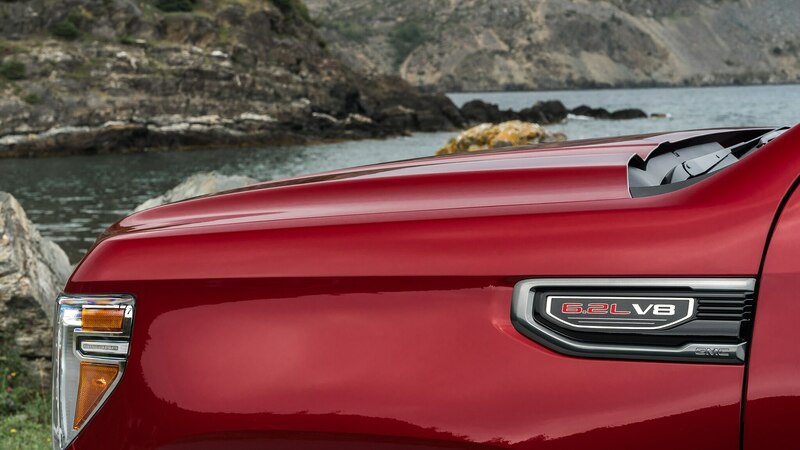 But this whirlybird was something else entirely. 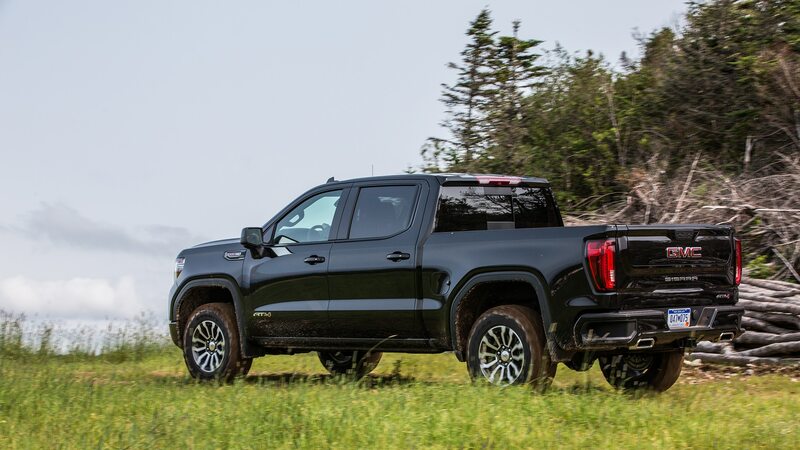 Dull grey, with U.S. Navy written in black letters on the tail, the Seahawk thundered overhead. 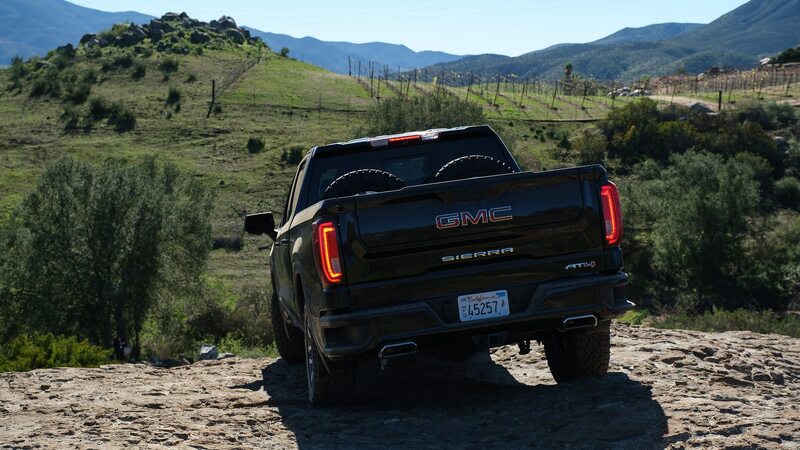 It was barely a hundred feed off the deck, the hillsides green from recent rains. 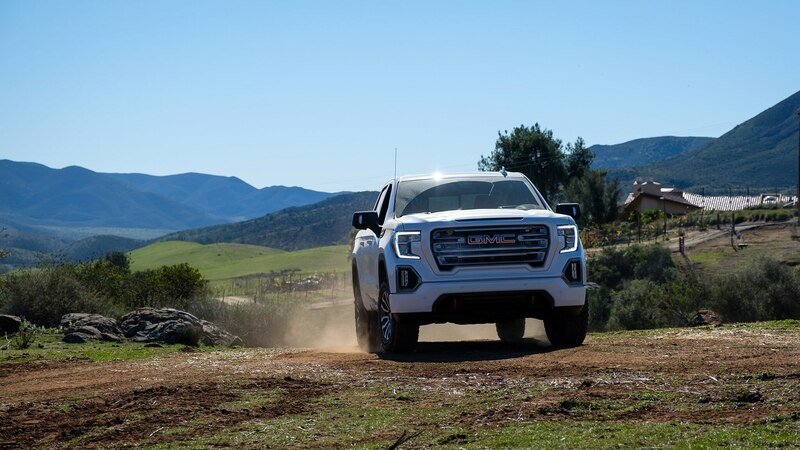 Our group of pickups, shiny and unblemished except for a thin layer of dust covering absolutely everything, must have made quite a sight for the pilot and crew. 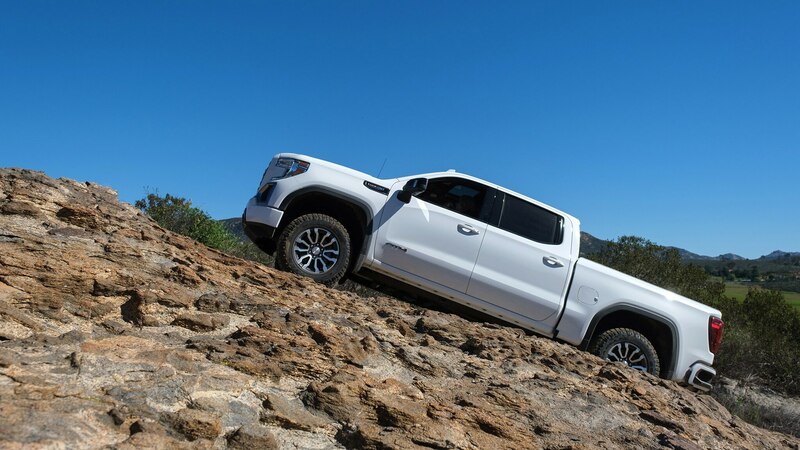 It cruised to the front of our group and slowed aggressively before pirouetting in place and hovering just ahead of the lead truck, floating in the air in that unnerving way that only helicopters seem to have mastered. 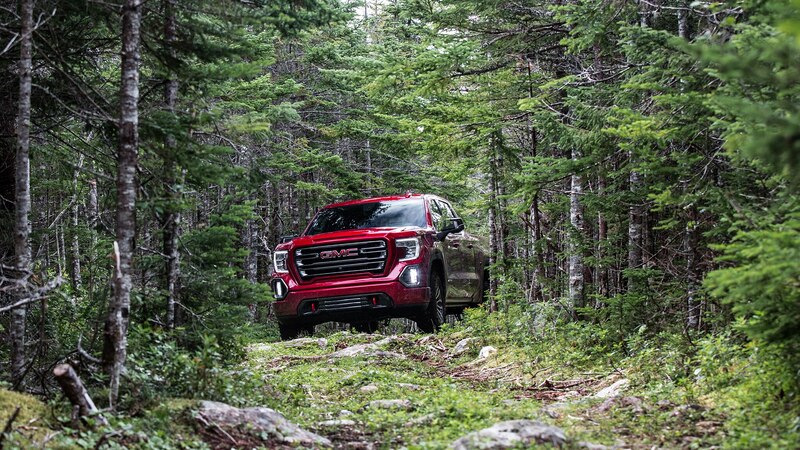 After examining us for a moment, it began slowly back down the trail. 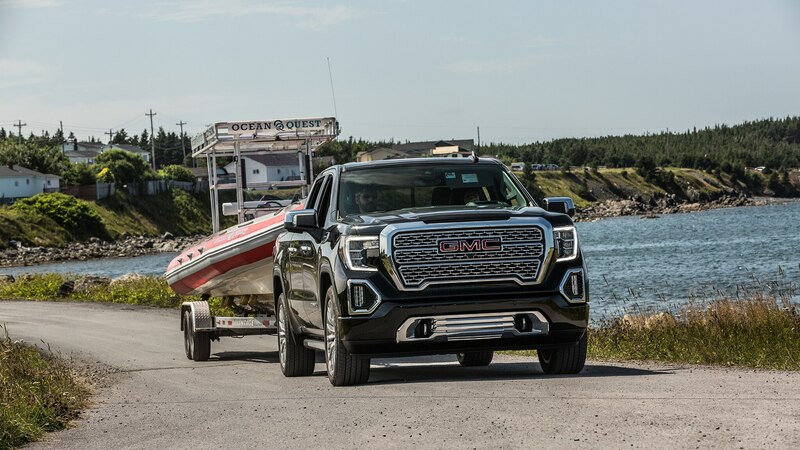 A crewman in a flight suit sat in the open side-door of the Seahawk, carefully examining our strange convoy, before deciding we were not a threat to national security and flying off for more interesting prey. 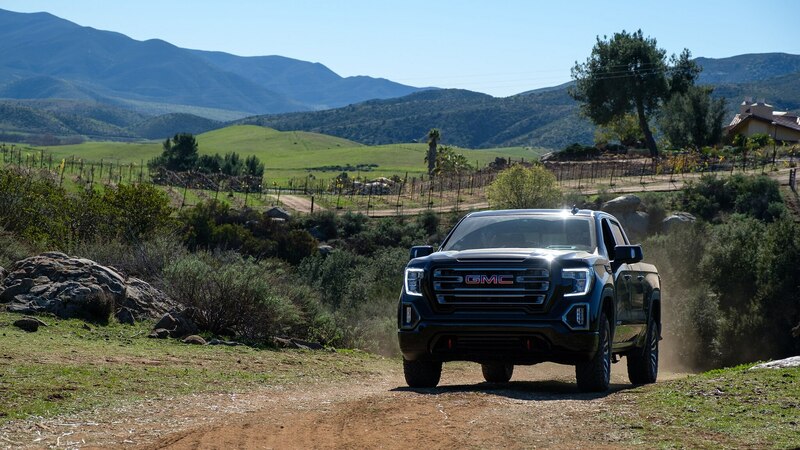 The GMC PR man in the truck with us looked concerned and got on the phone to Agent Smith, his contact with the Border Patrol who was making sure that everyone knew what we were up to and that we weren’t a threat to run for the border—or worse. 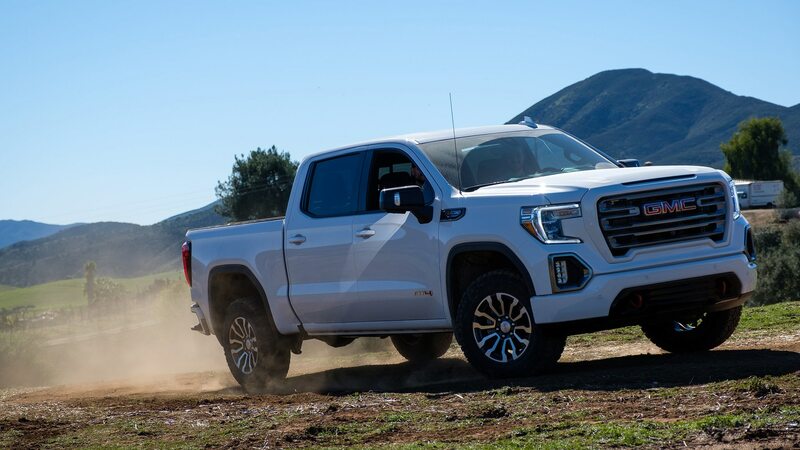 Even with the U.S. government shutdown in full swing and the Border Patrol agents going unpaid, there was no question that we were on their turf. 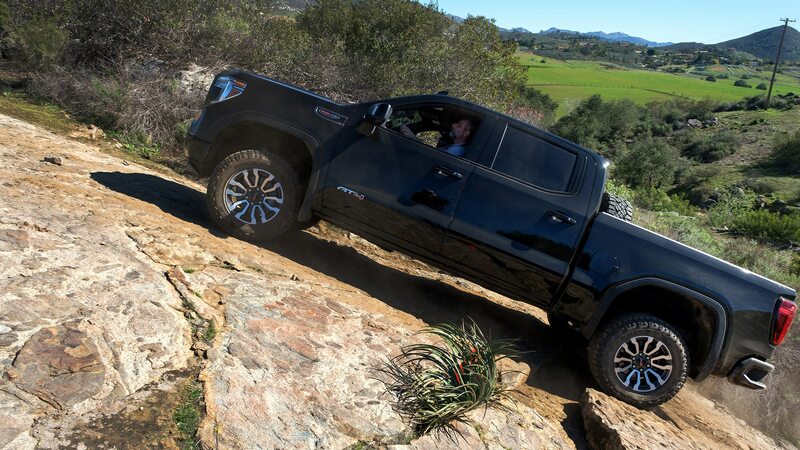 Crisis averted, we continued on our way. 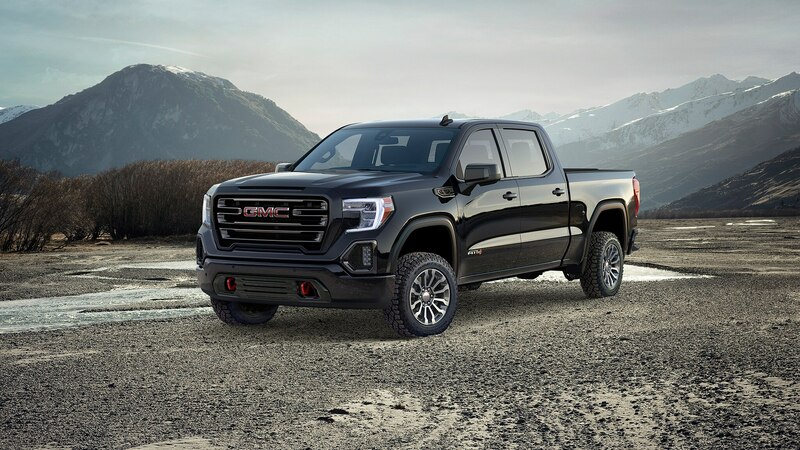 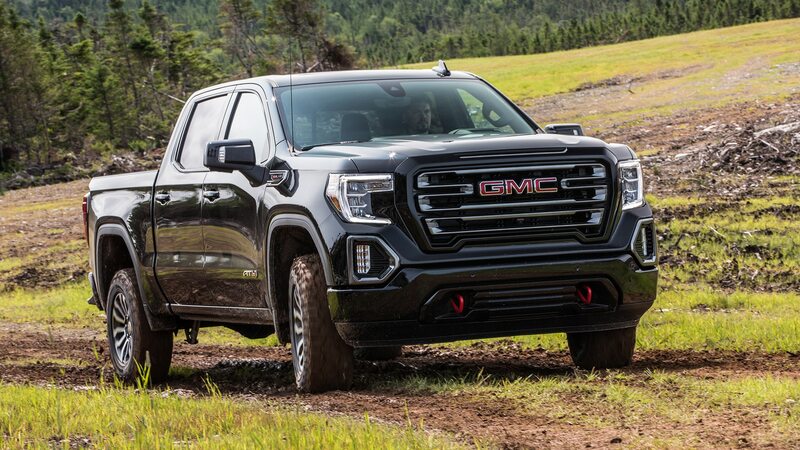 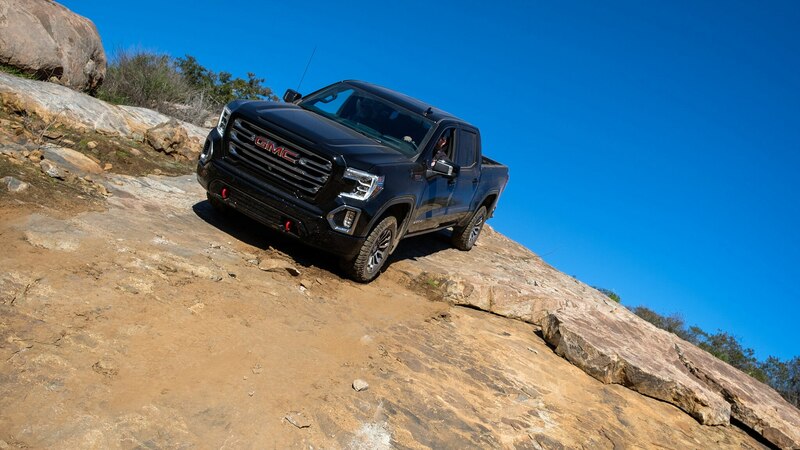 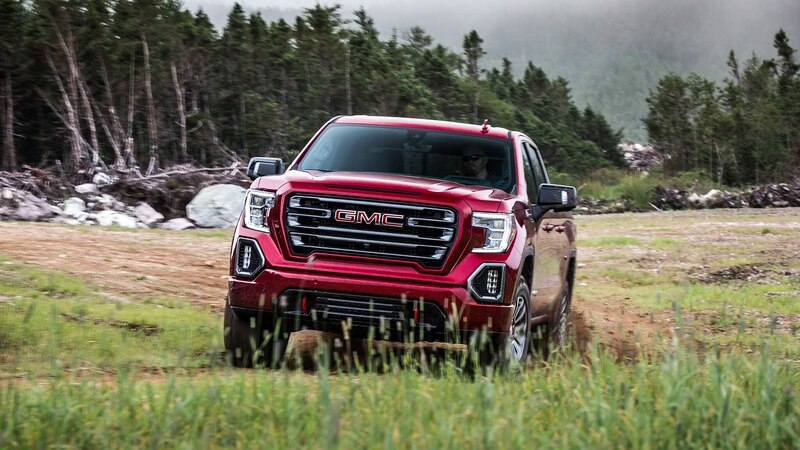 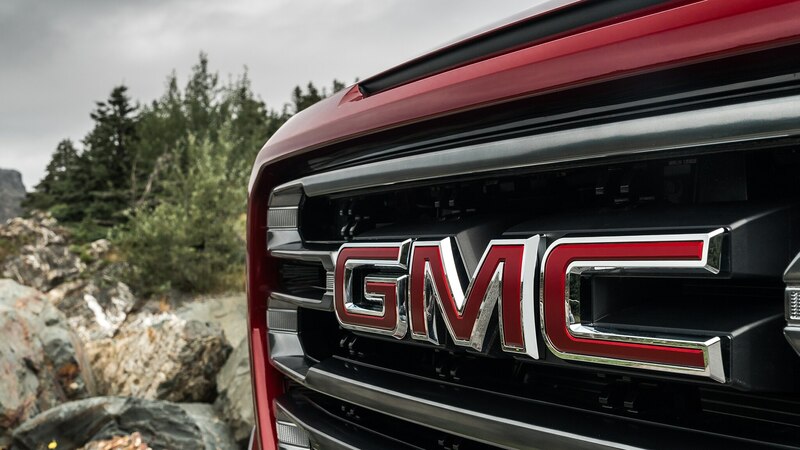 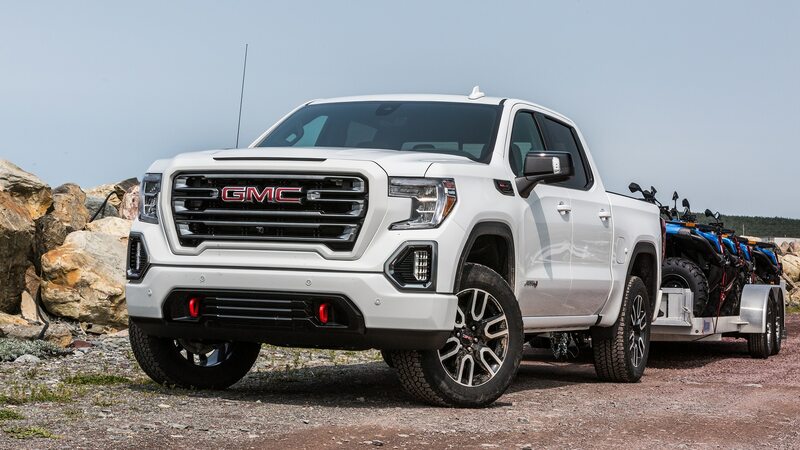 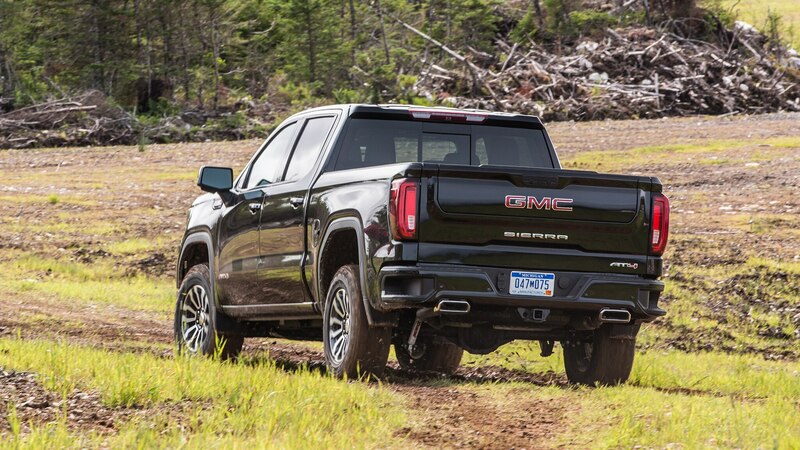 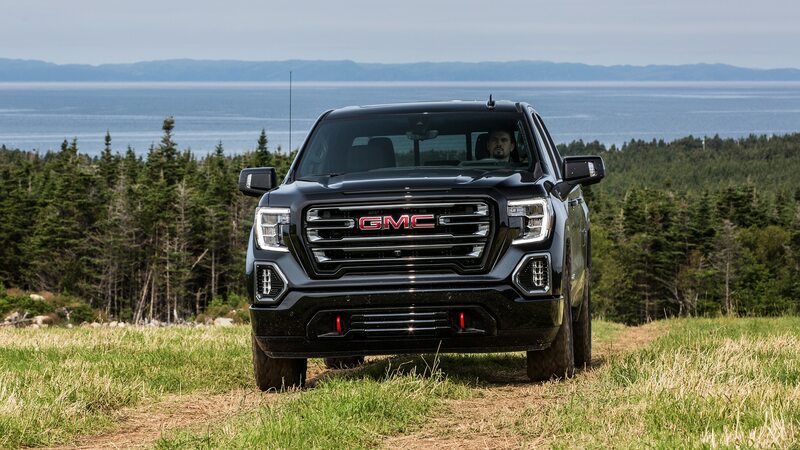 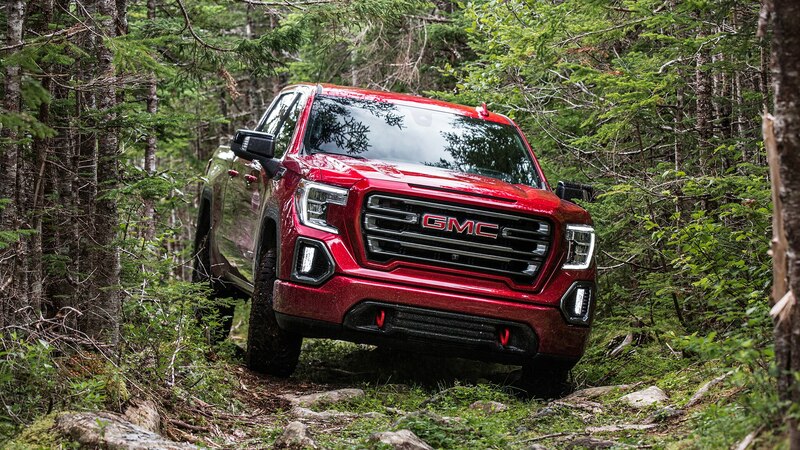 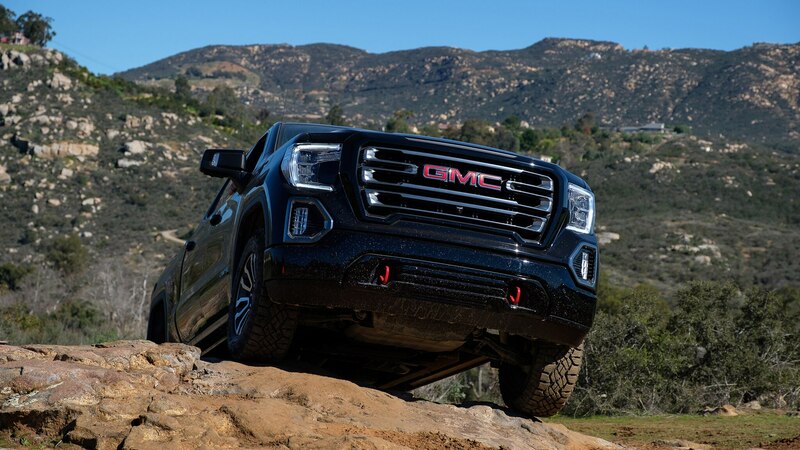 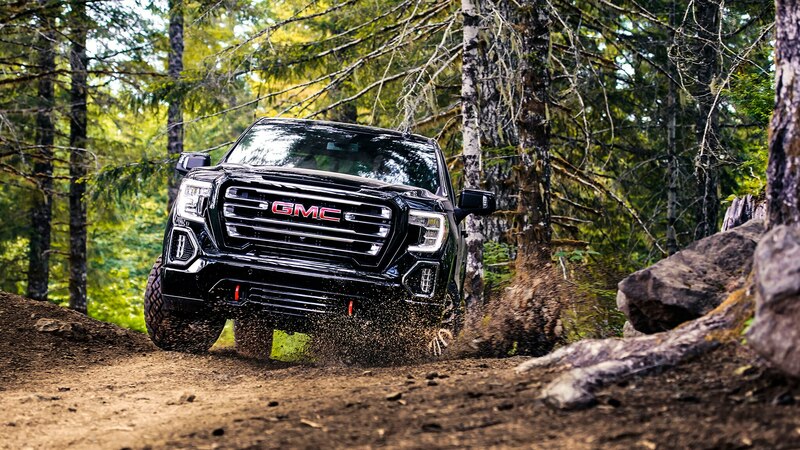 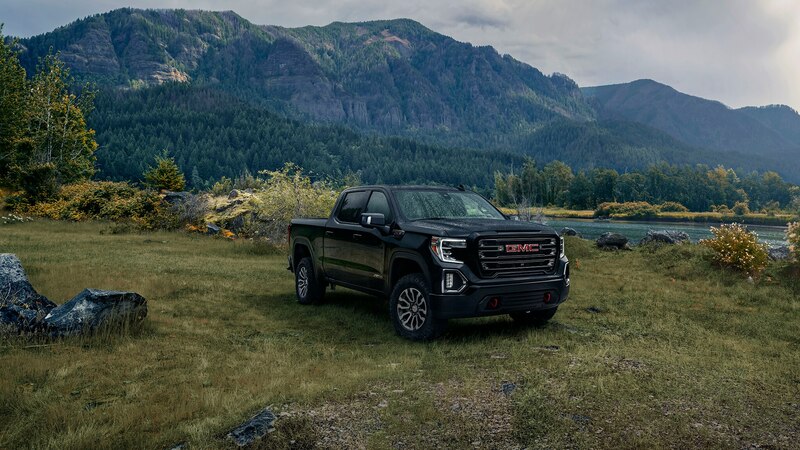 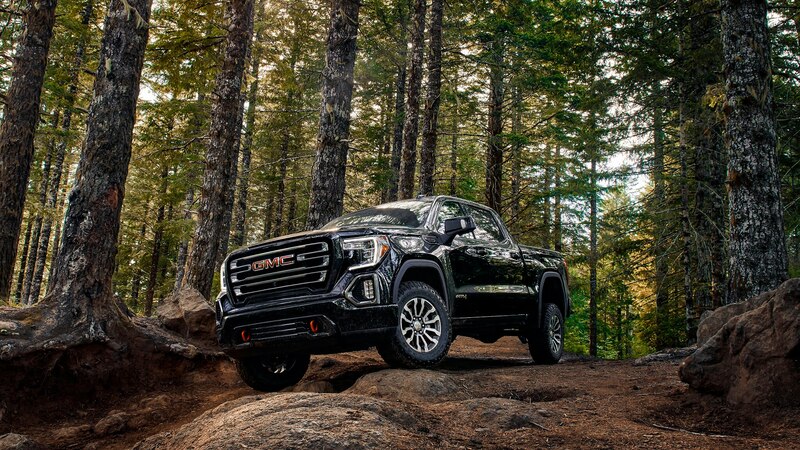 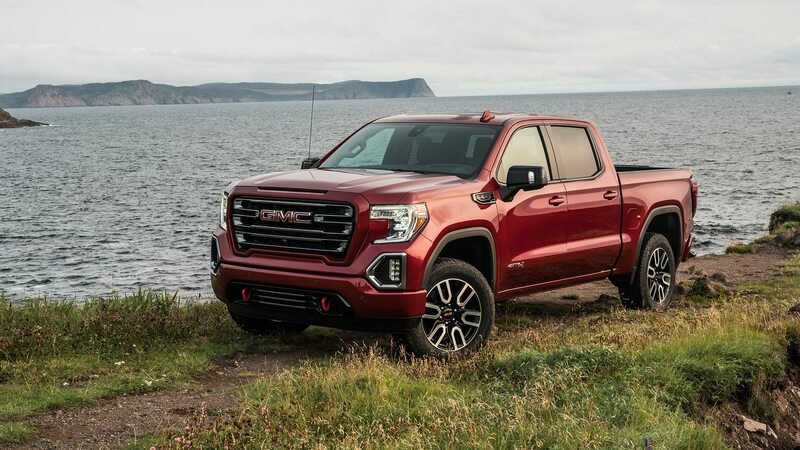 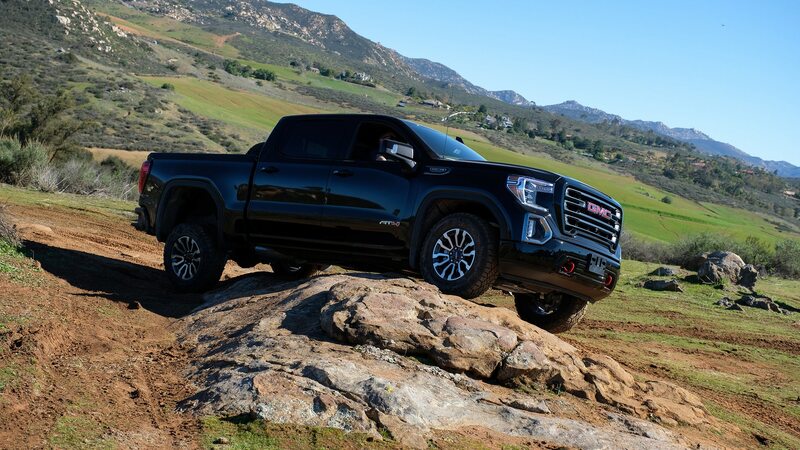 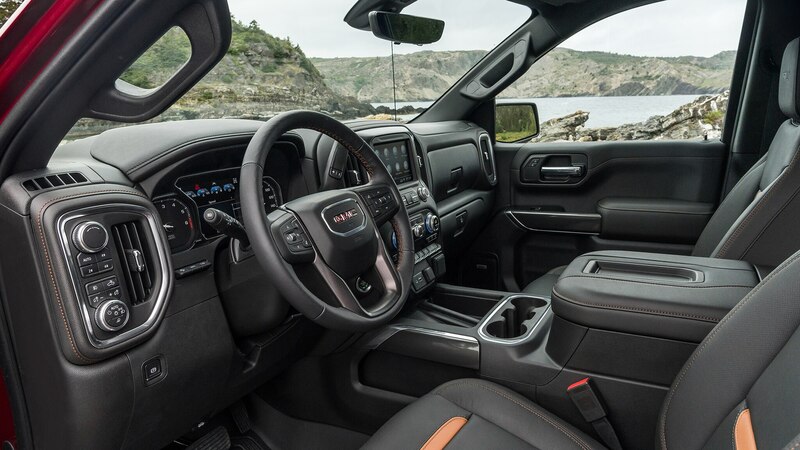 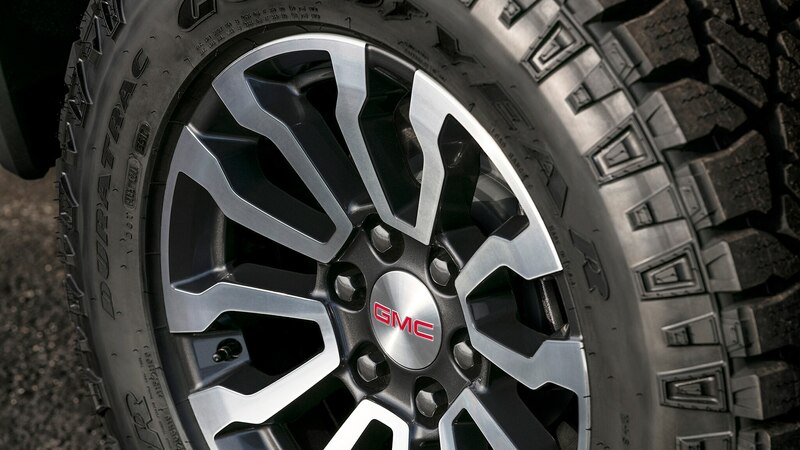 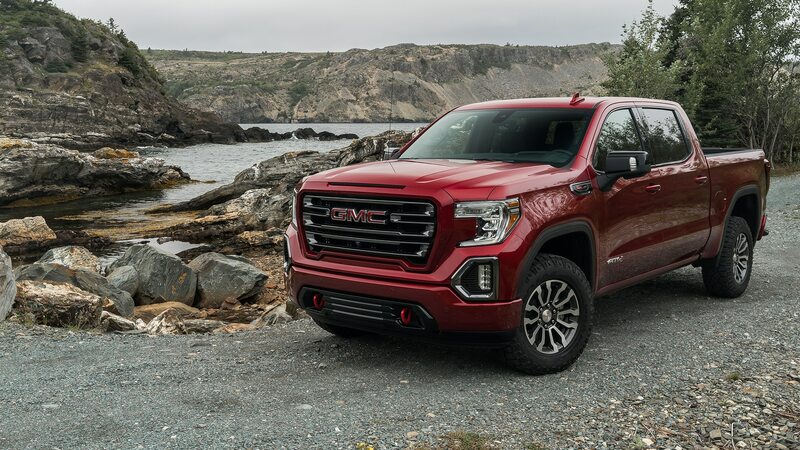 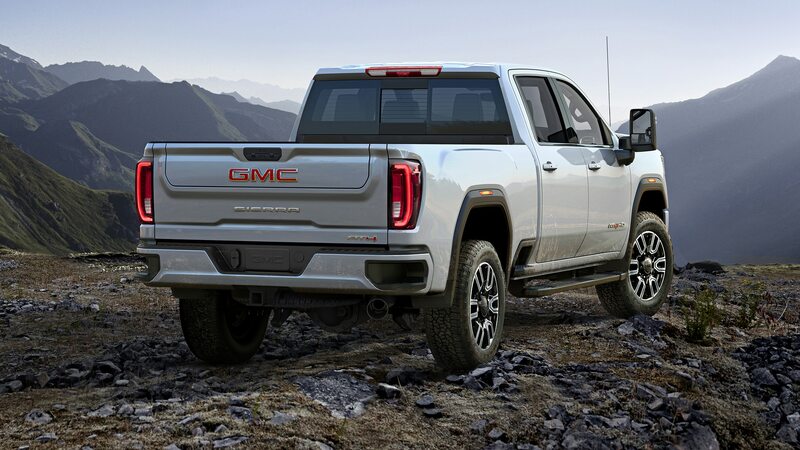 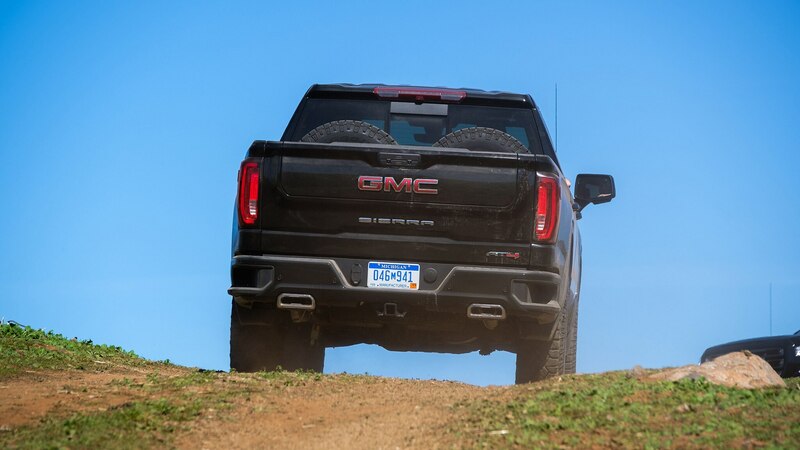 The off-road-focused AT4 was launched late last year, and it’s a key way for GMC to differentiate its Sierra from its mechanical twin, the Chevrolet Silverado. 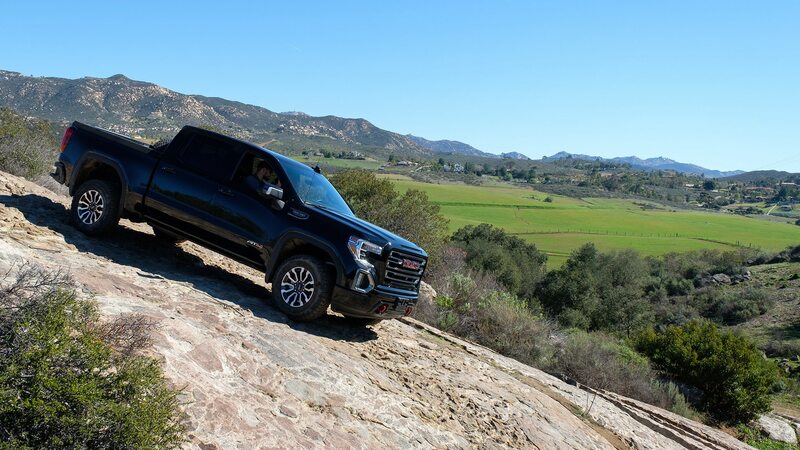 We were invited to put the new truck through its paces on a mountain trail just south of San Diego. 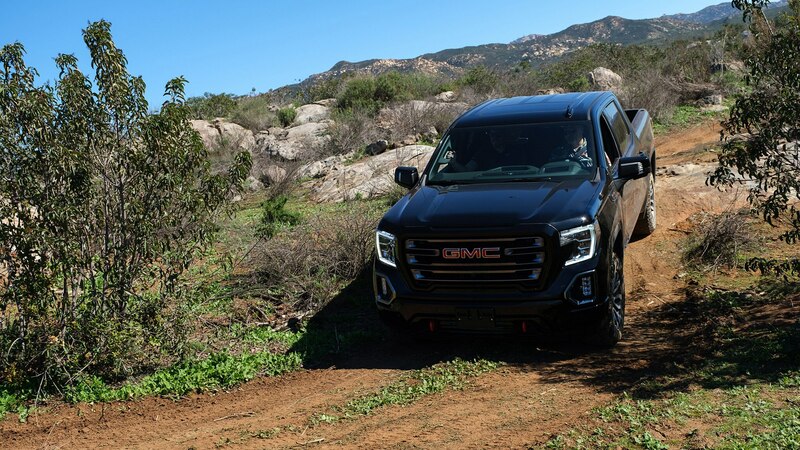 Our original route, which GMC had scouted several months earlier, was chained shut after the government closed, so this Border Patrol–maintained trail went from backup to main event. 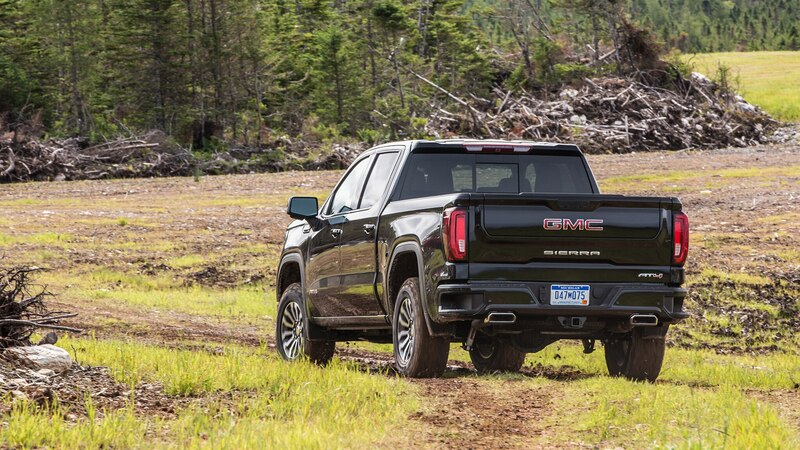 It had rained hard not long before, and GMC politely asked that maintenance crews hold off on regrading until we had finished our off-road adventure. 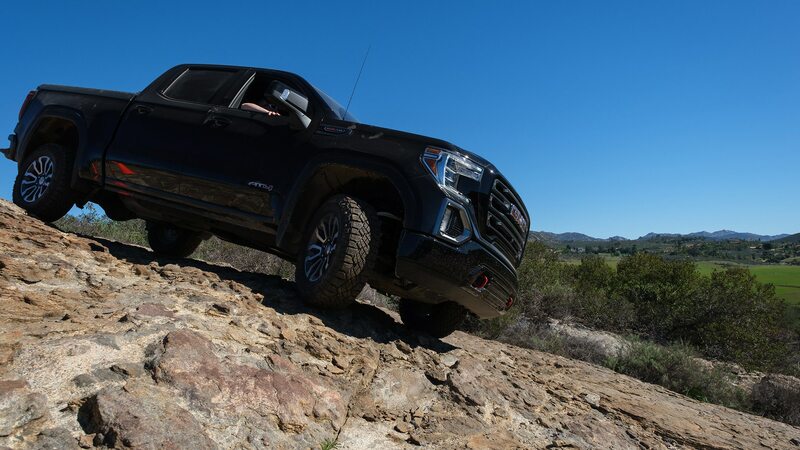 It wasn’t totally washed out, but it was a far rougher ride than the agents—we spotted the USBP signature white-and-green paint scheme on several Chevy Tahoes, a JK Wrangler, and myriad Ford F-150s—probably would have preferred for their rounds. 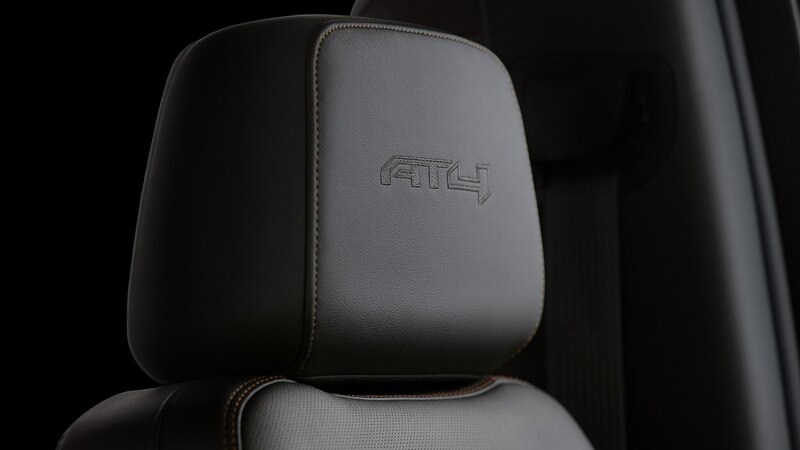 The AT4 is the beefed-up, rough-and-ready alternative to the posh Denali. 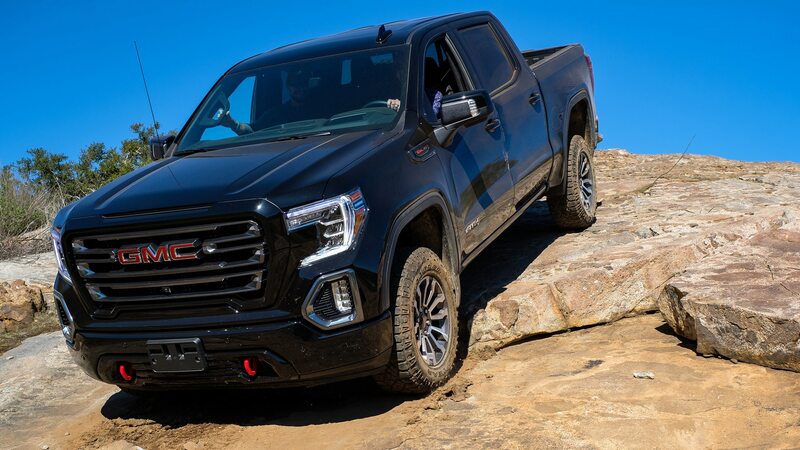 It gains a 2.0-inch factory-installed lift kit, a set of protective skid plates, an Eaton locking rear differential, upgraded Rancho monotube dampers, and all-terrain or mud-terrain tires on 18- or 20-inch wheels. 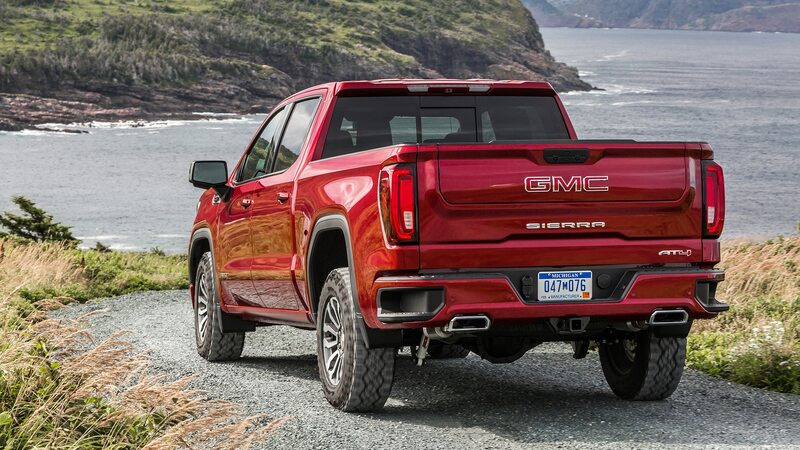 Its more aggressive—but still quite refined looking—styling is finished off with bright red tow hooks at the front. 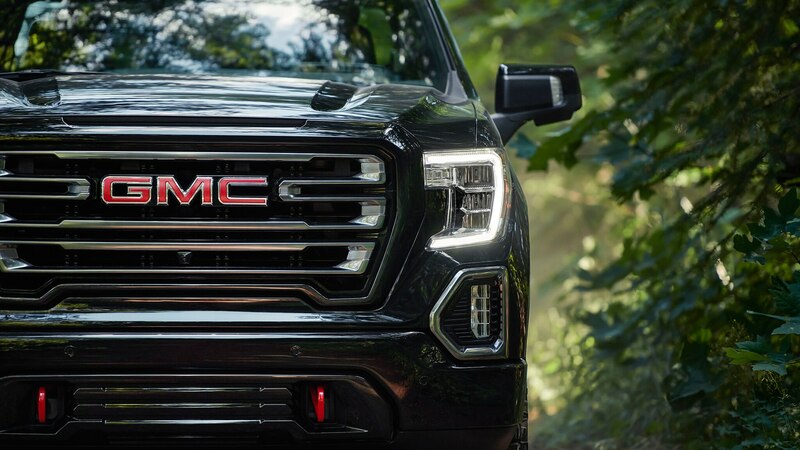 If we’re honest, it looks pretty awesome. 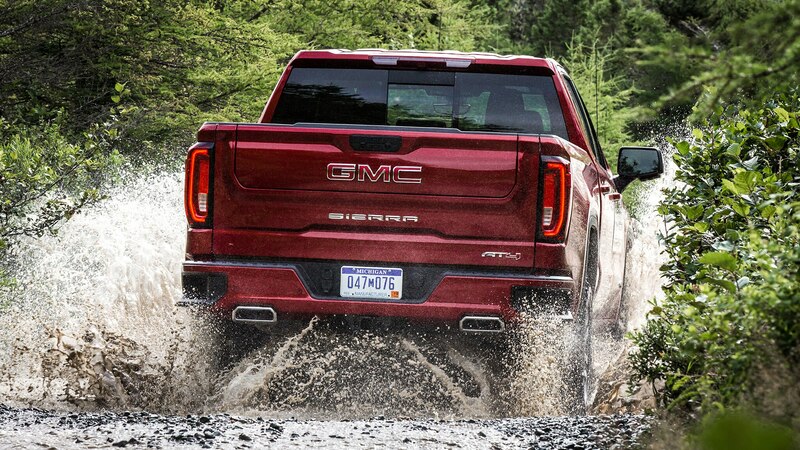 Unsurprisingly, our truck soaked up the bumps, washboard surfaces, dips, and chuckholes with aplomb. 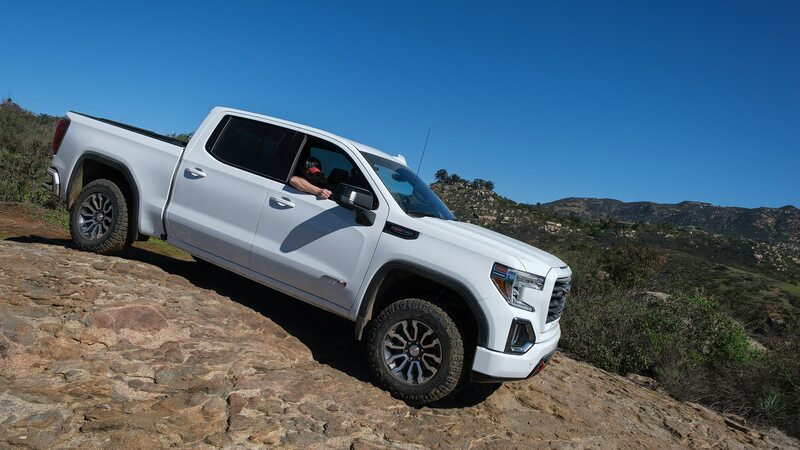 It’s no Ford F-150 Raptor—we weren’t doing 70 mph at the time, as we might have in the Raptor—but then it isn’t supposed to be. 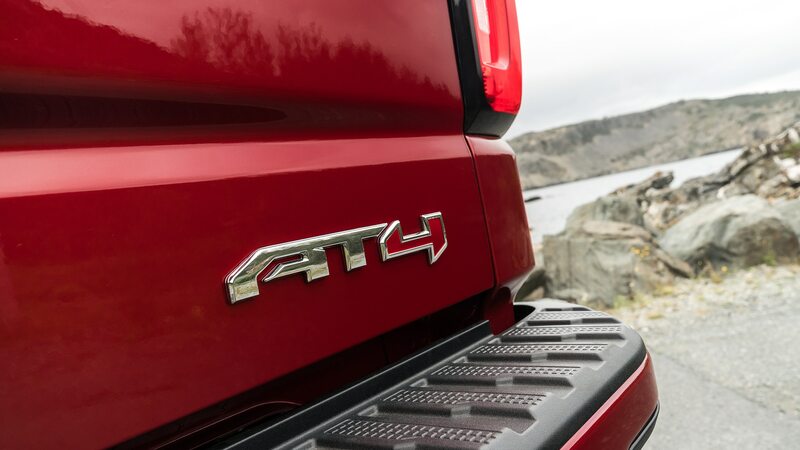 The aim of the AT4, it seems, is to be a comfortable, well-equipped, and cosseting pickup that can handle the rough stuff when it needs to. 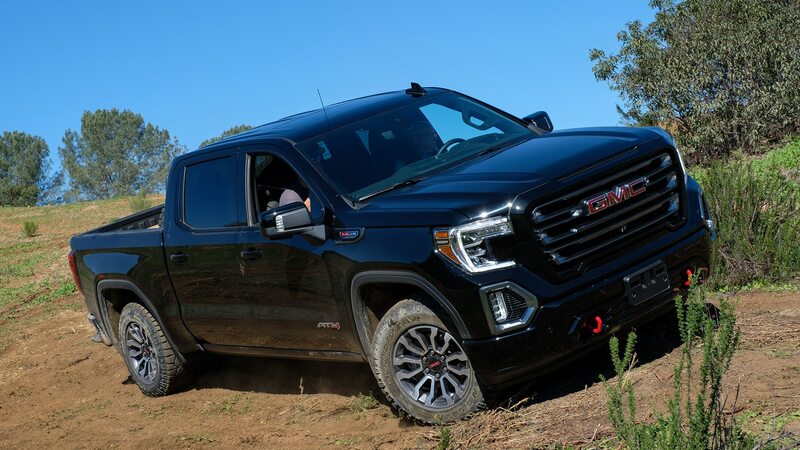 Driving it on tarmac bore this out for the most part, although the knobby tires do create more road noise and their larger rubber tread blocks add the slightest bit of vagueness to the steering. 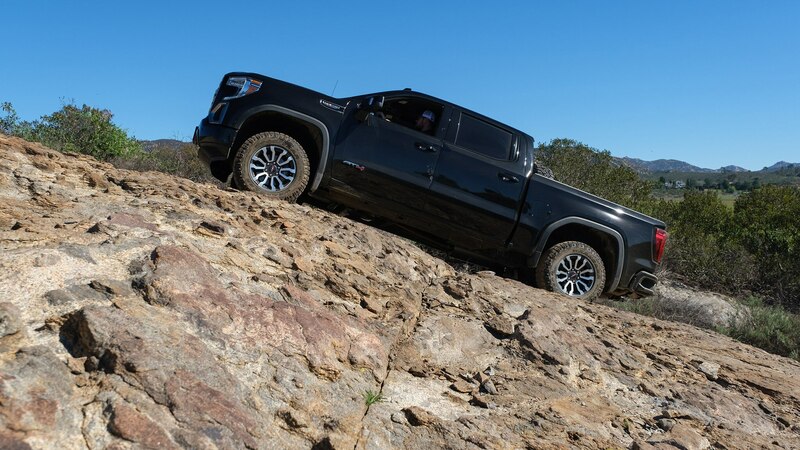 It’s nothing off-road geeks won’t be familiar—or comfortable—with, and these issues aren’t prominent enough to much spoil the experience for anyone who knows better. 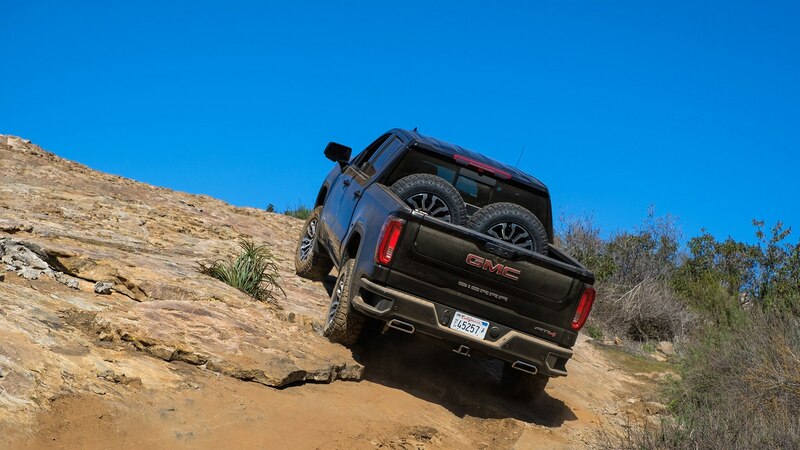 And despite its off-road -readiness, the ride is smooth. 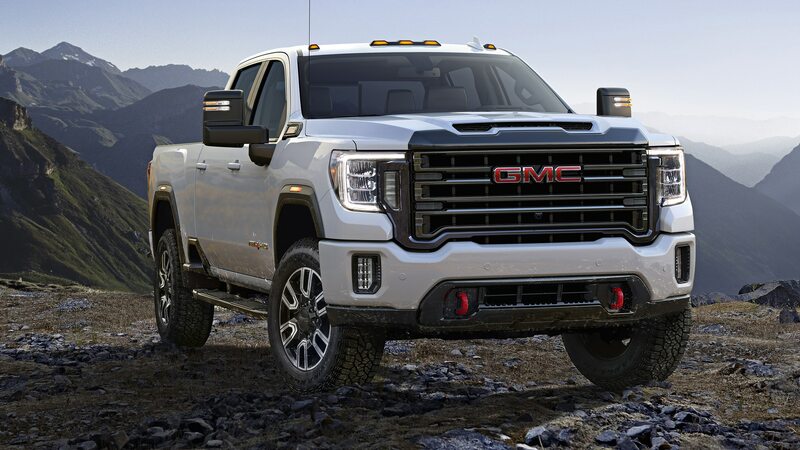 This is a truck you could drive every day whether you’re patrolling the American desert or your local home-improvement store. 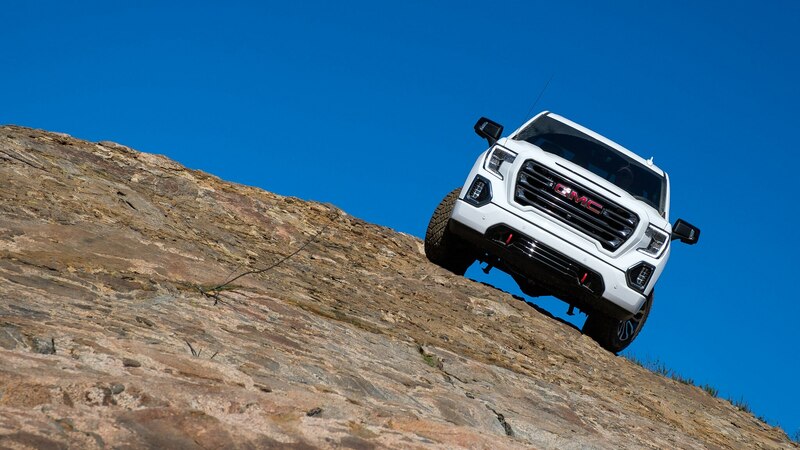 At lunch, we tackled a small technical course where the AT4 did everything asked of it—unsurprising considering the obstacles had been chosen to showcase the truck’s abilities. 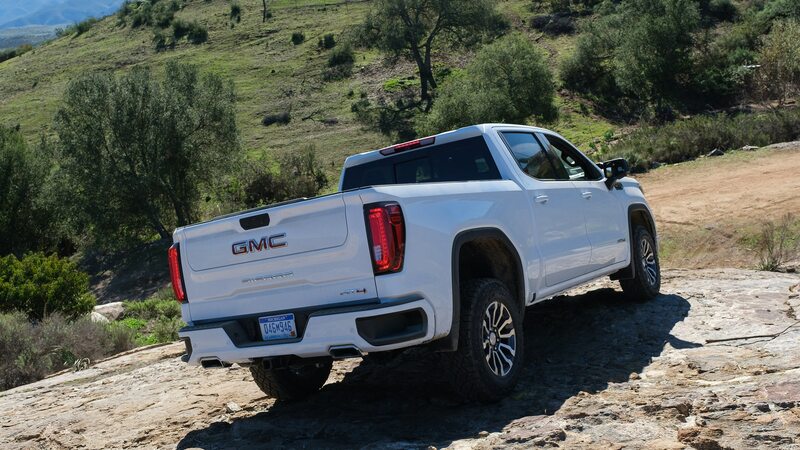 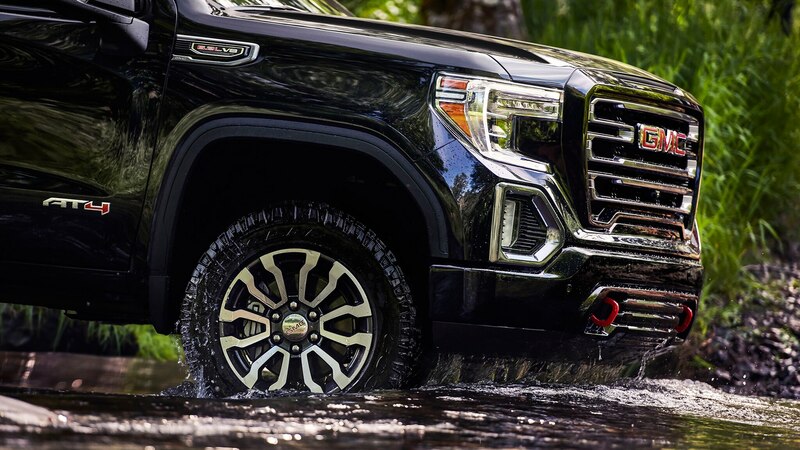 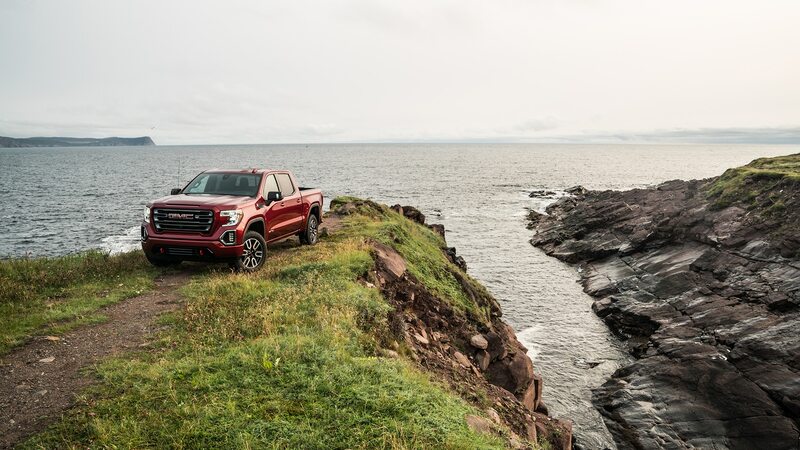 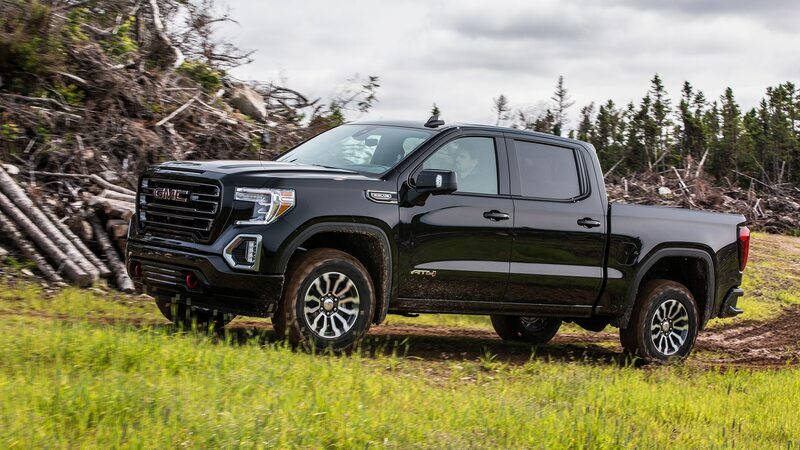 Still, for the vast majority of truck buyers, plowing through a mud hole or clambering up a slick, steep hill will be all the nature-conquering ability they’ll need. 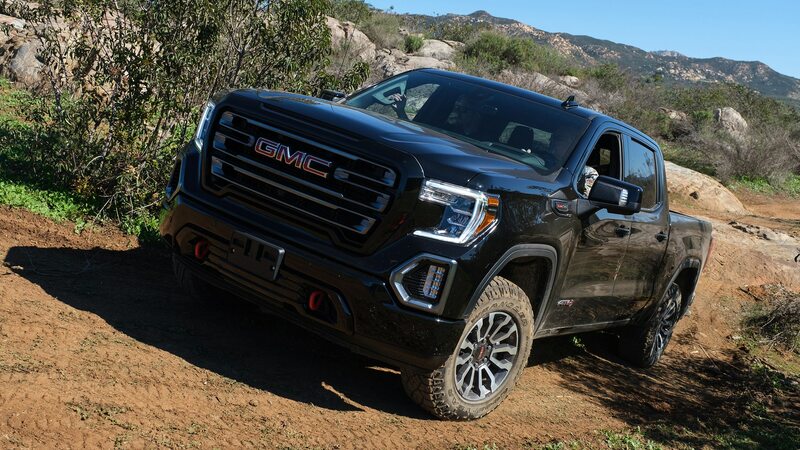 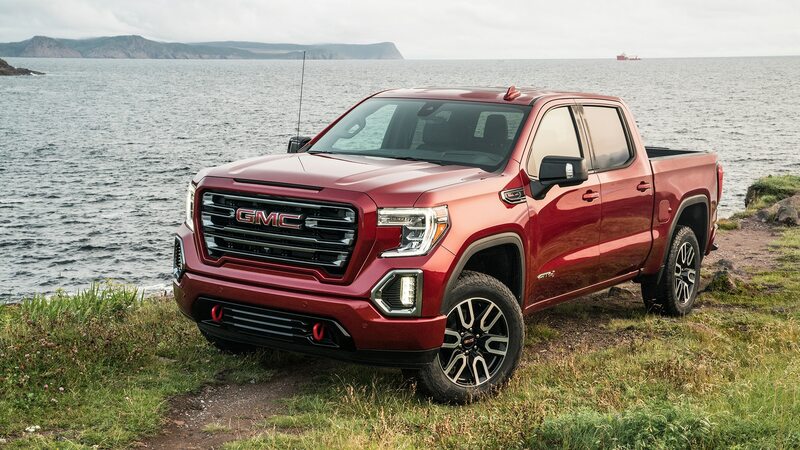 This GMC also makes for a competent jumping off point for customization should its well-off buyer catch the off-road bug and not want to jump to a more specialized rig. 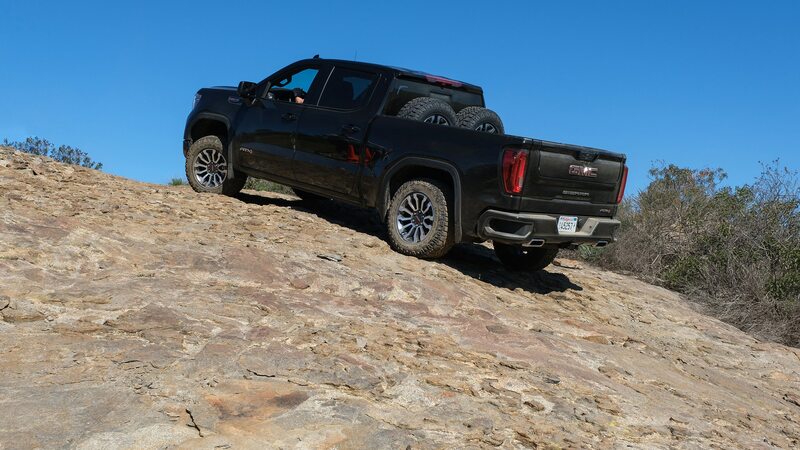 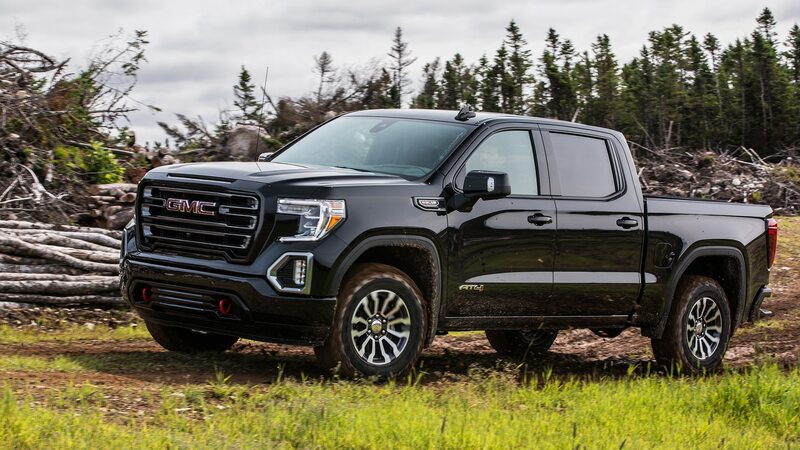 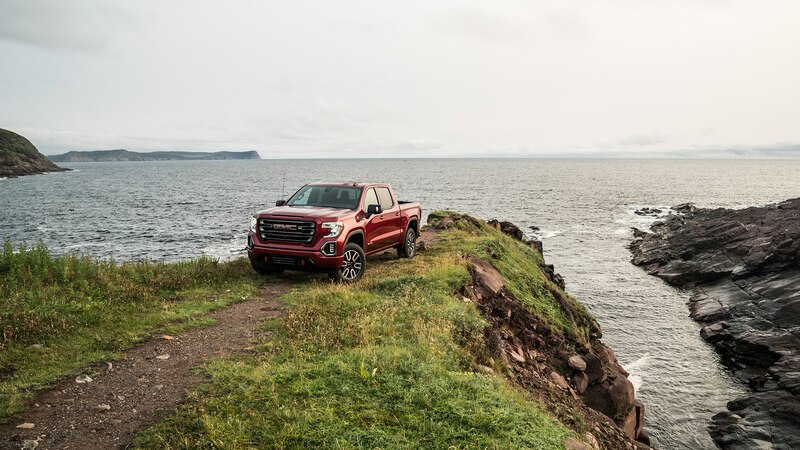 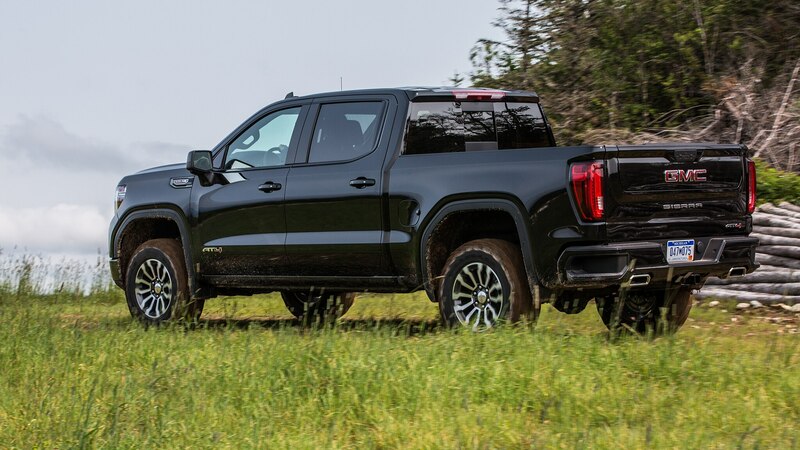 And for now, with both the Ram 1500 and Ford F-150 being better-driving trucks, the AT4’s unique mix of luxury and off-road ability makes it one of the few compelling reasons to shop a GMC store instead. 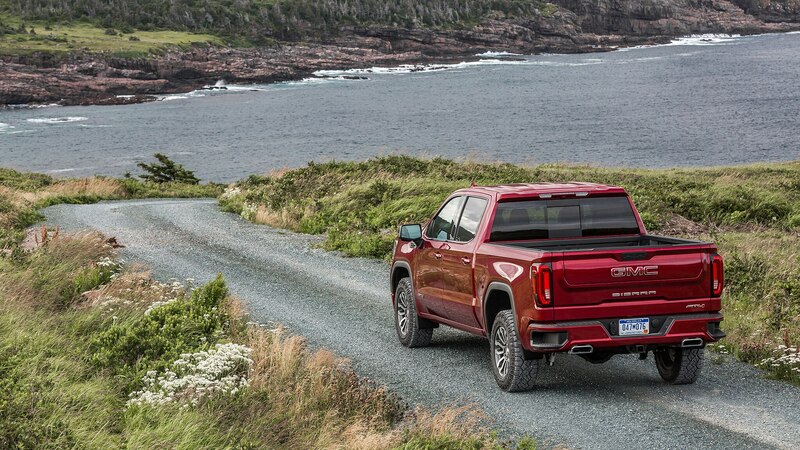 Those shoppers will find that the Sierra AT4 crew cab starts at $54,695—just $1,500 shy of a Denali. 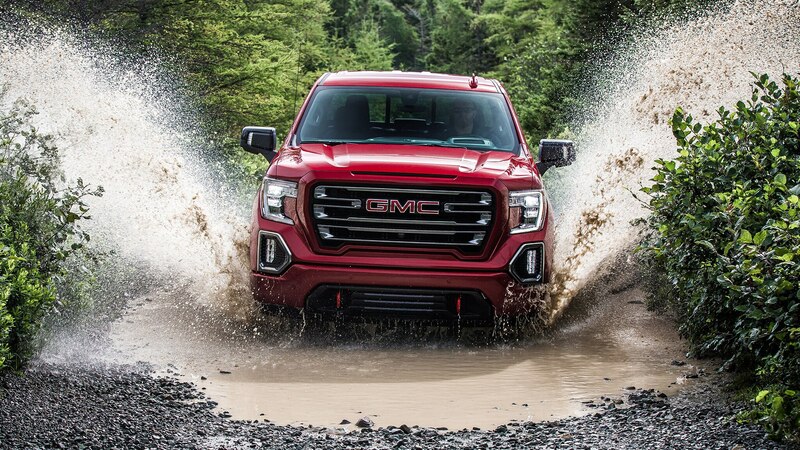 Our rather loaded test truck clocked in at a hefty $65,355. 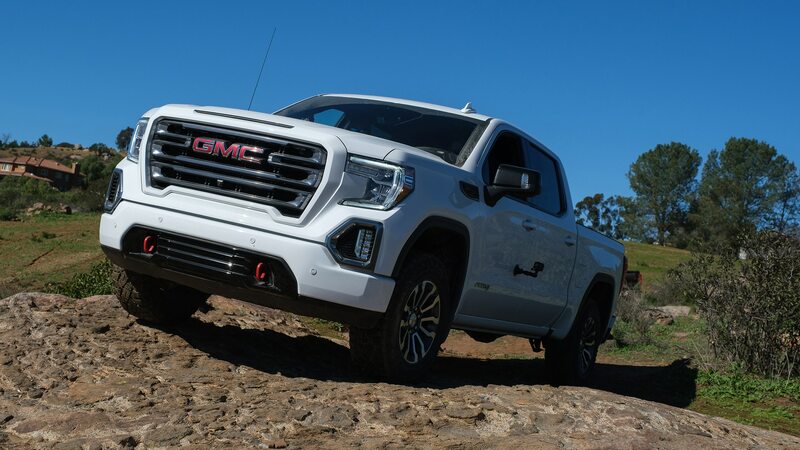 Among the checked option boxes on the truck we drove were the $4,940 Off-Road Performance package, which brings the upgrade 6.2-liter V-8 and its 435 hp and 469 lb-ft of torque (the standard 5.3-liter V-8 makes 355 and 383), a 10-speed automatic (up from eight speeds), a cat-back exhaust, and a performance air intake. 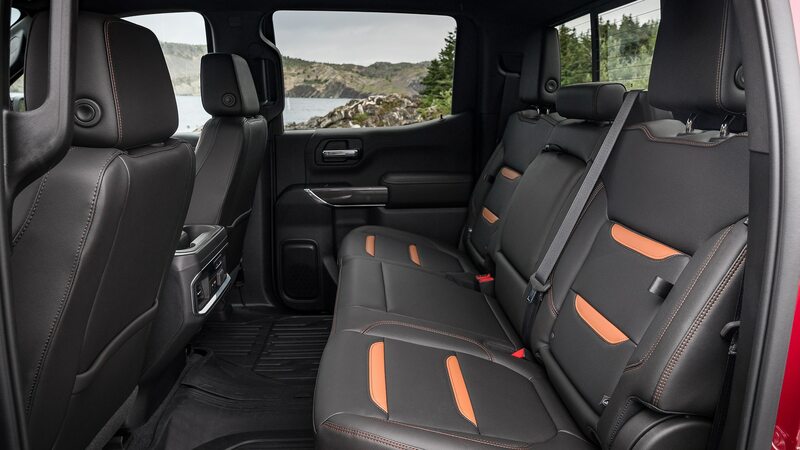 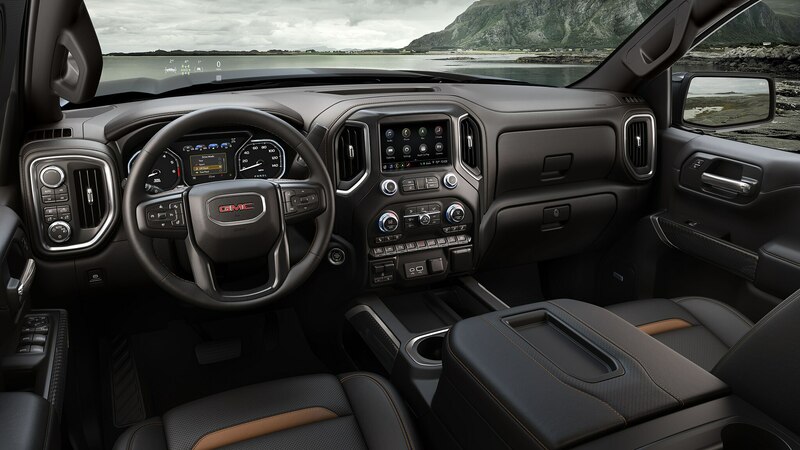 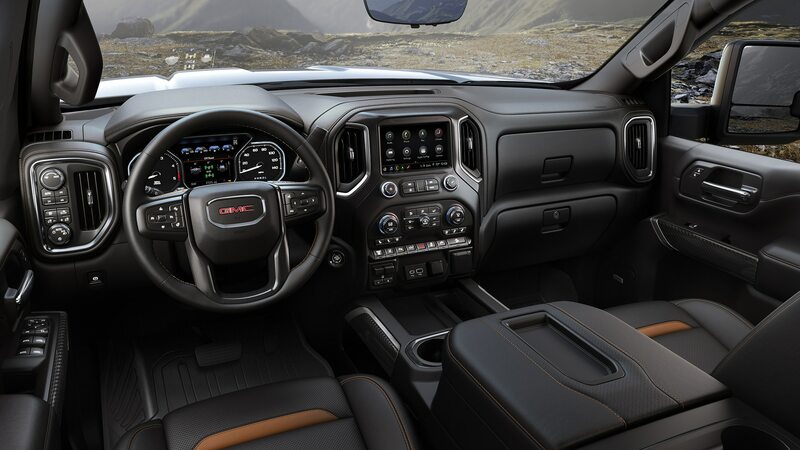 Our truck also had the AT4 Premium ($3,100), Technology ($1,875), and Driver Alert II ($745) packages, which added an 8.0-inch head-up display, a 360-surround camera that includes the ability to see “through” the hood, and much more. 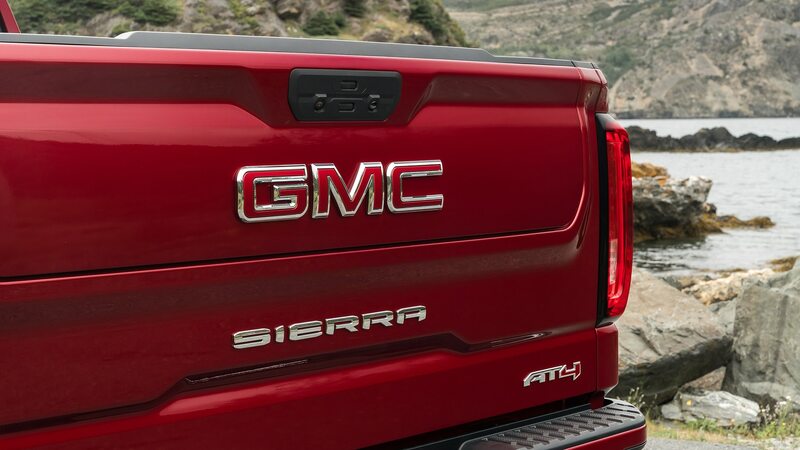 Of course, any talk of the Sierra wouldn’t be complete without mentioning the truck’s MultiPro tailgate. 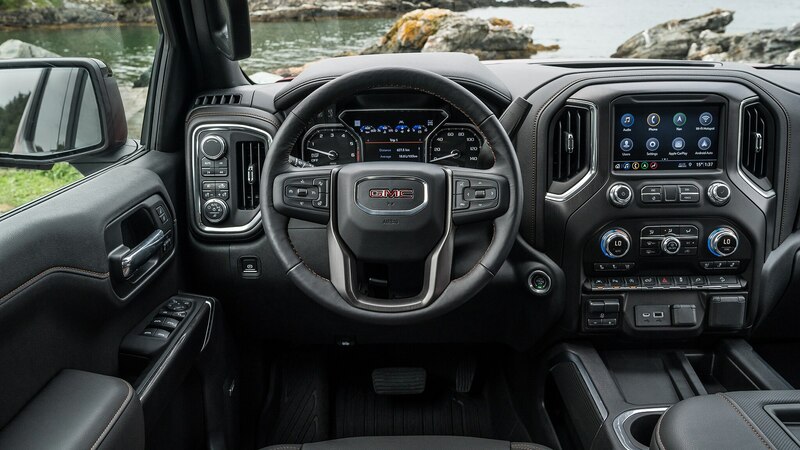 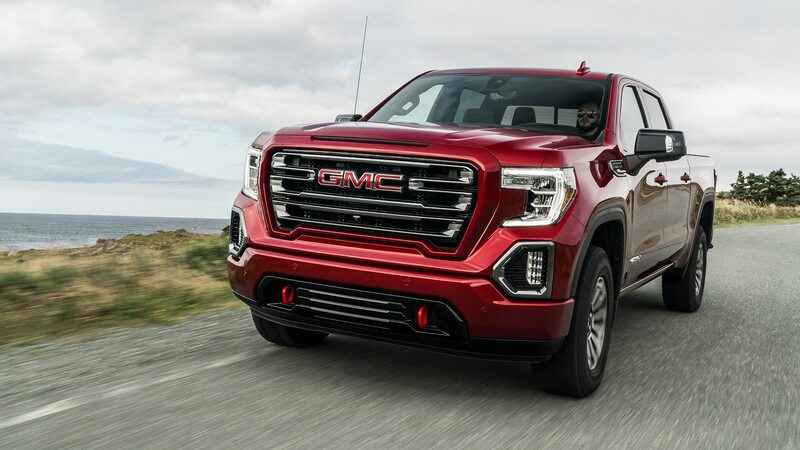 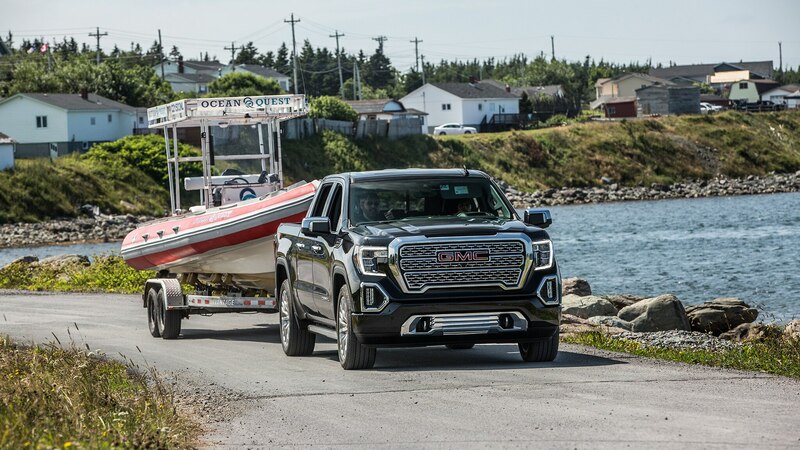 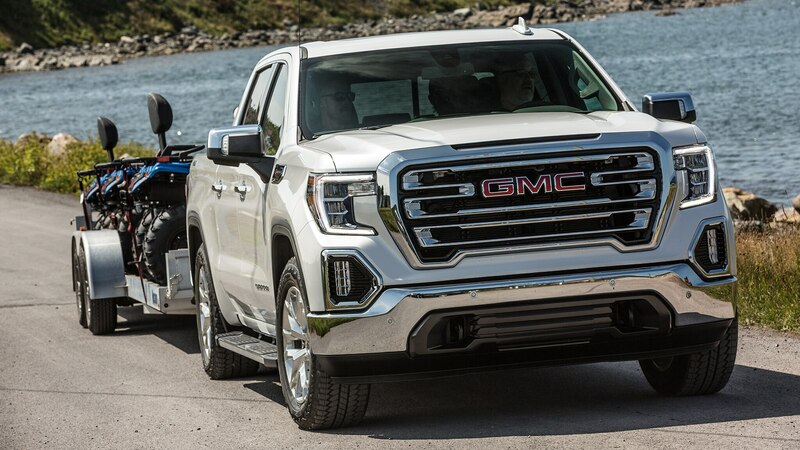 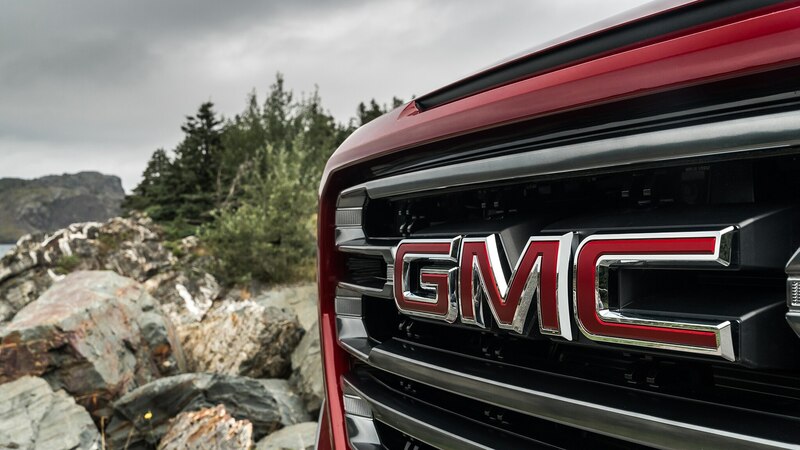 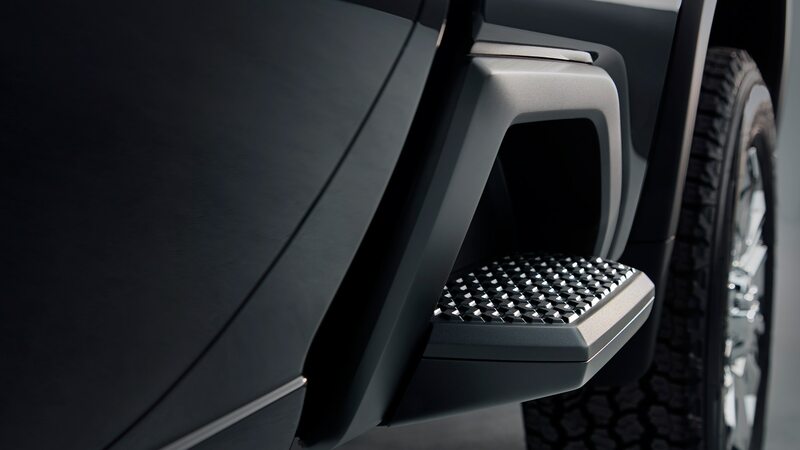 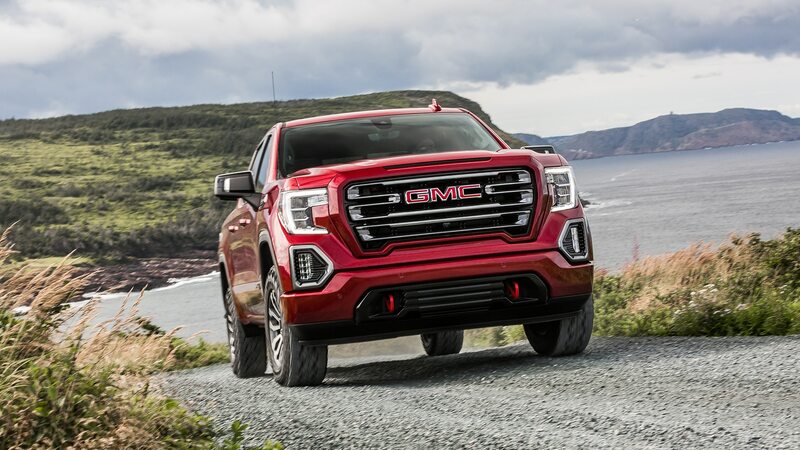 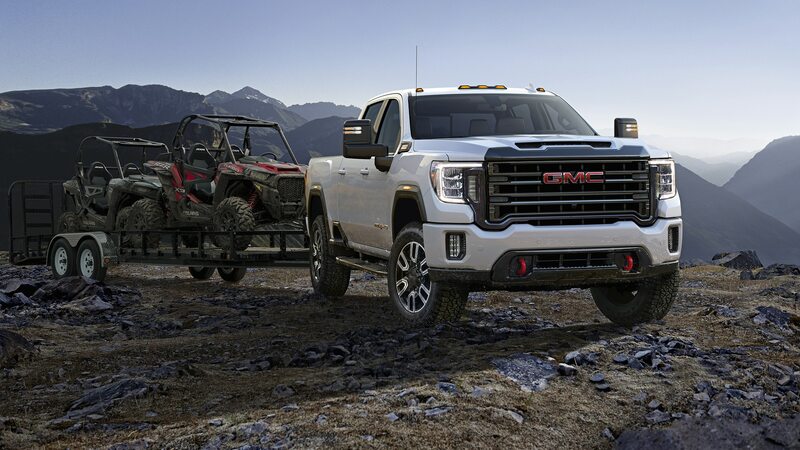 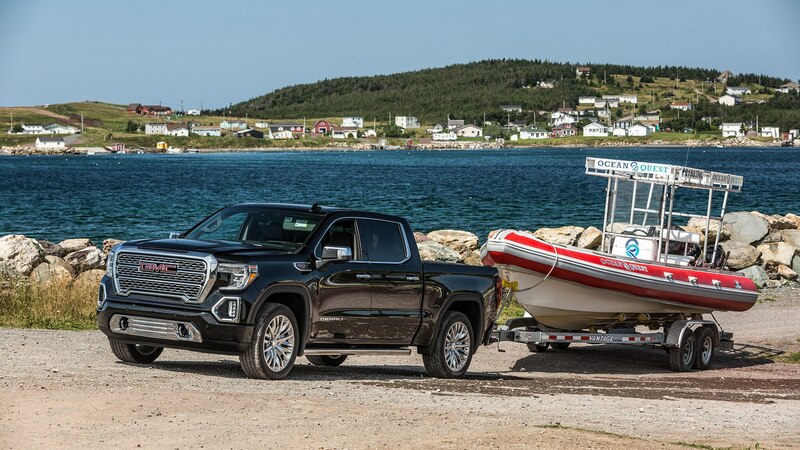 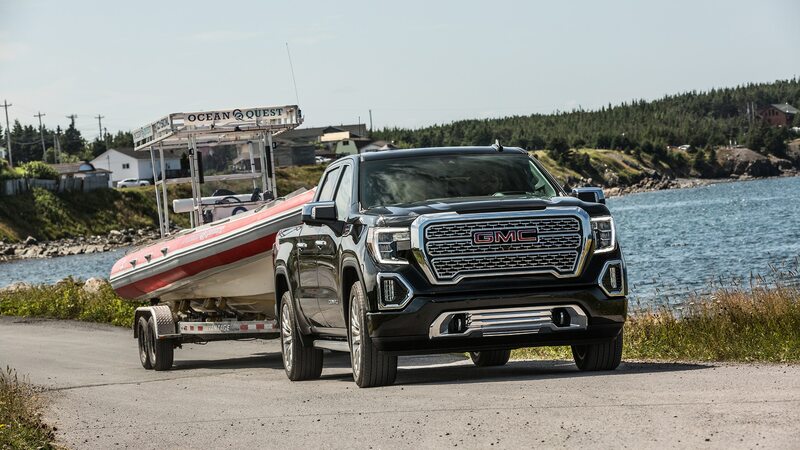 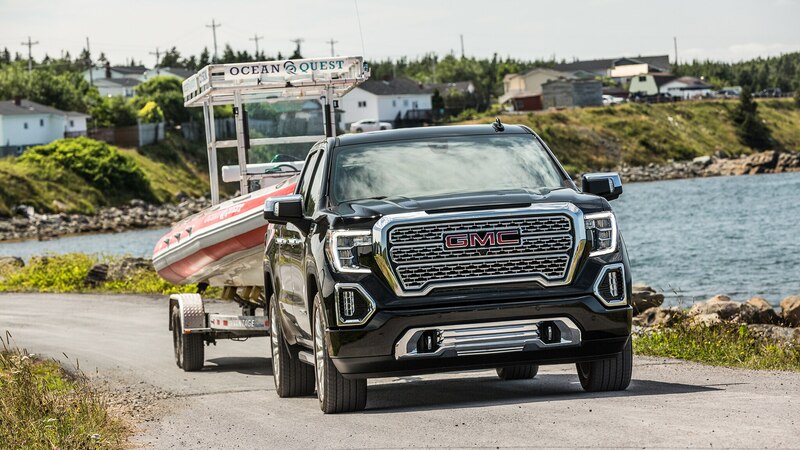 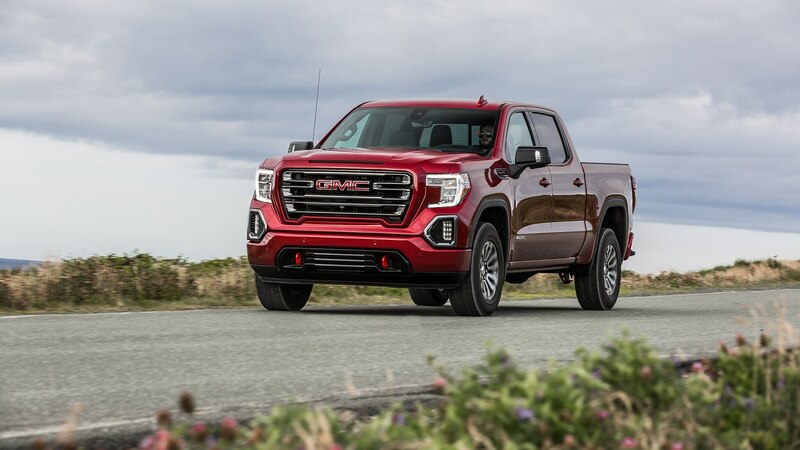 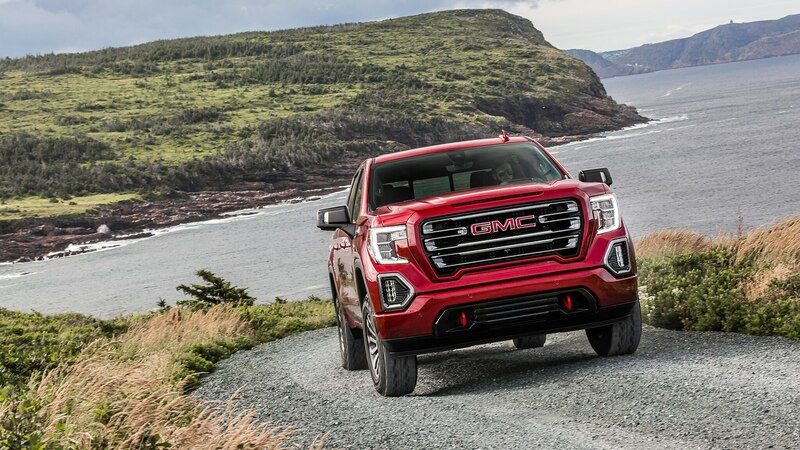 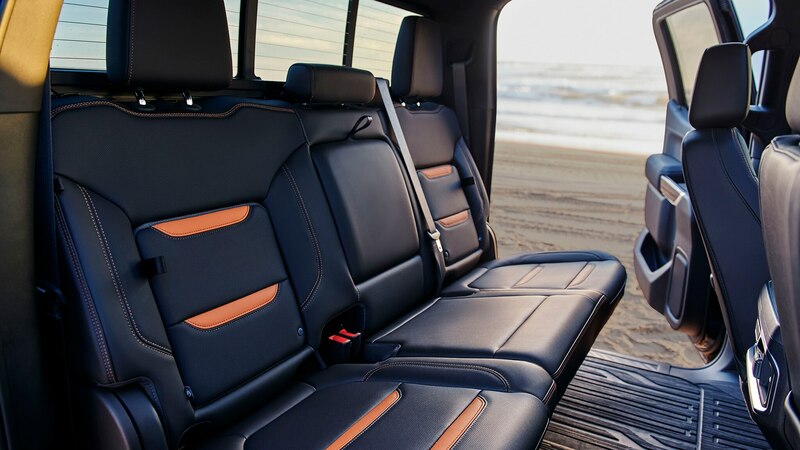 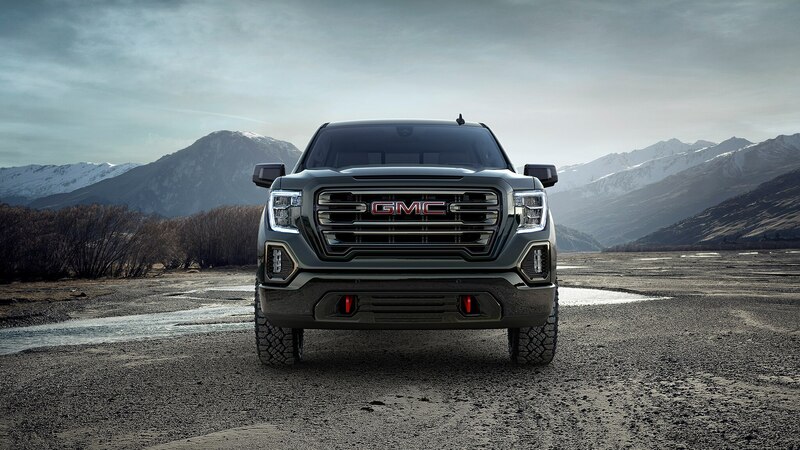 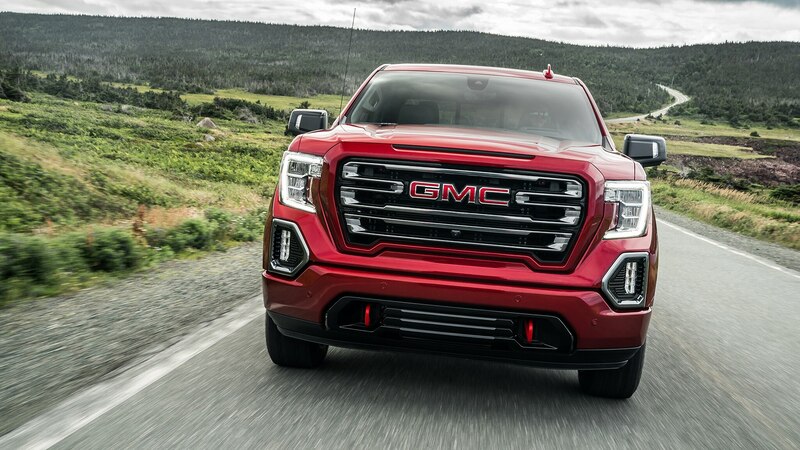 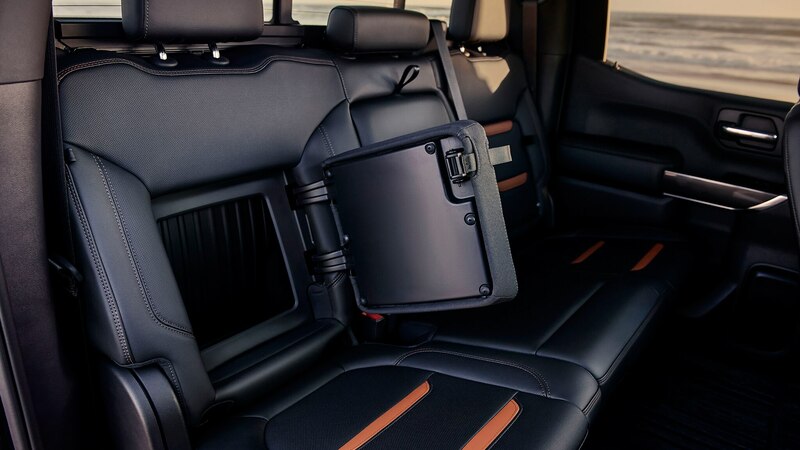 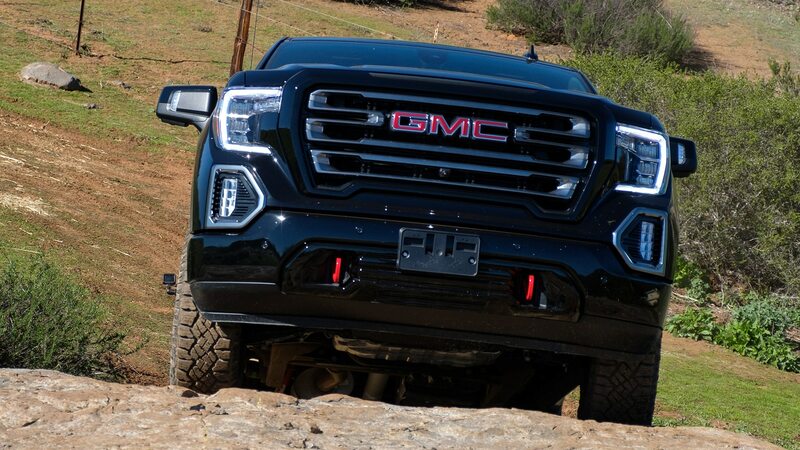 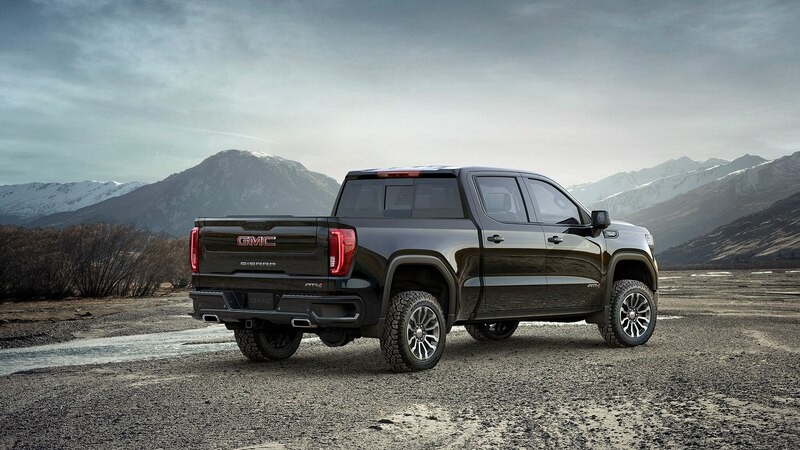 The tailgate-within-a-tailgate is the killer app of the latest GMC truck lineup, and it consists of an upper and lower section with six different configurations that help bed ingress and egress, the ability to reach into the box, and/or handling longer loads. 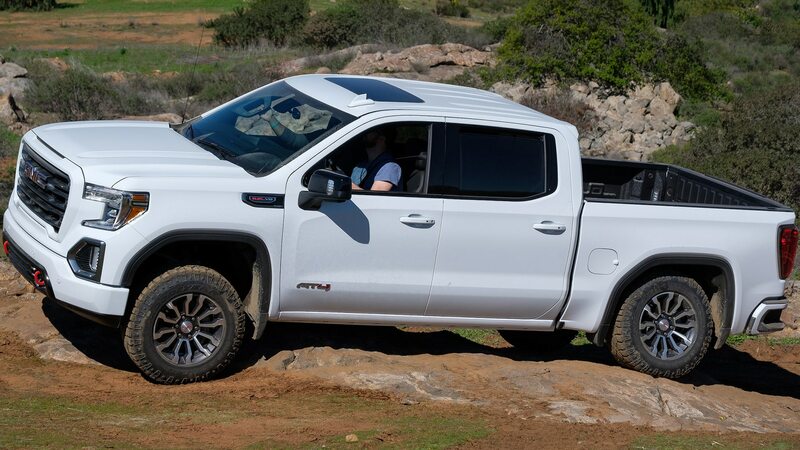 It’s standard on the AT4, and having proved itself to us as truly useful on other Sierras, is perhaps the biggest must-have pickup feature we’ve seen in years. 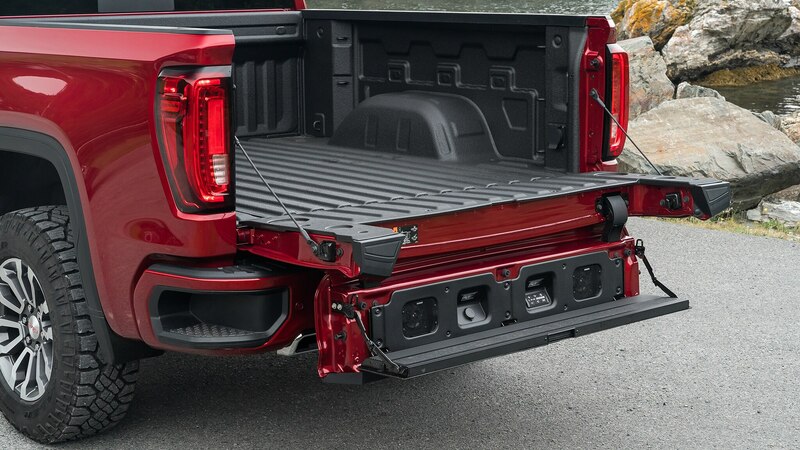 GMC is spending big bucks to promote it, and it has fresh competition in the form of Ram’s own multifunction tailgate. 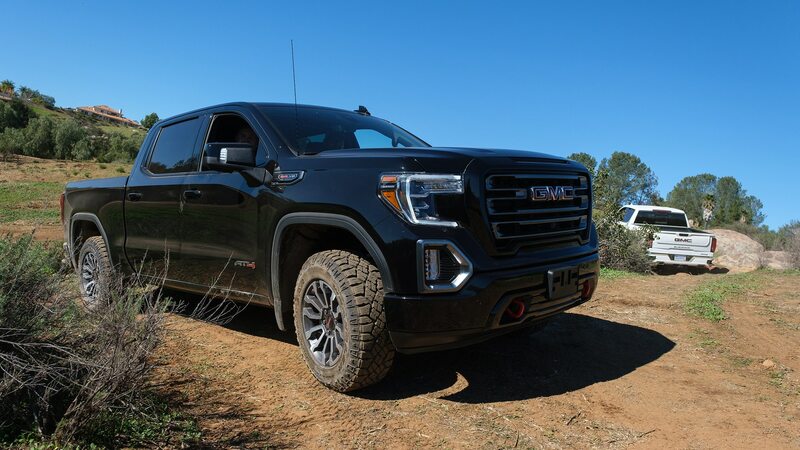 The Navy and the Border Patrol might have been keeping a close eye on our Sierra, but after spending time in the AT4, we’re thinking it isn’t because they’re fearful we were up to no good. 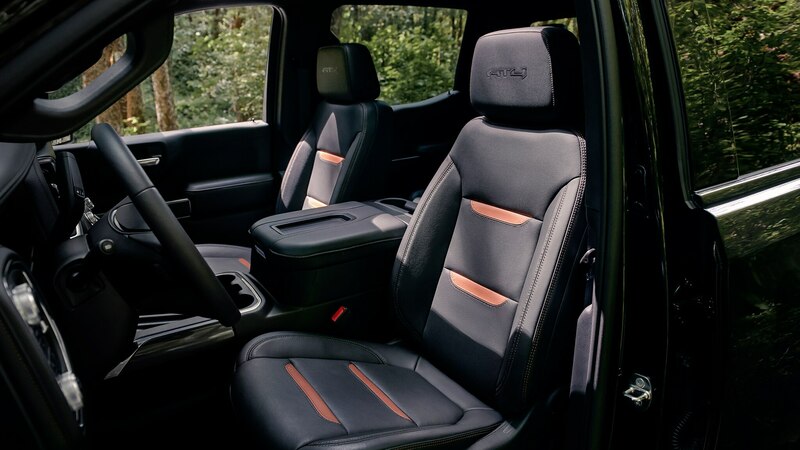 It was because they wouldn’t mind having one of their own.